Administrative Law Judge Debra Huston, Office of Administrative Hearings, Special Education Division, State of California, heard this matter in Clovis, California, on October 15 through 19, 2007. Petitioner (Student) was represented by Elaine Yama, Attorney at Law. Student’s mother (Mother) and father (Father) attended the hearing on all days, with the exception of brief absences by Father. Respondent Clovis Unified School District (District) was represented by Karen Samman, Attorney at Law. District Special Education Coordinator Janet Van Gelder attended all days of the hearing, with the exception of brief absences. Student filed the due process complaint in this matter on June 20, 2007. Student’s request for a continuance was granted on August 1, 2007. At the close of hearing on October 19, 2007, the parties’ request for the opportunity to file written closing arguments was granted, and closing briefs were filed and the matter submitted on November 16, 2007. The parties stipulated that the decision would be due 30 days after the submission of closing briefs. 1. Did District have a child find obligation to assess Student in areas of suspected disability, including visual-motor integration, writing, working memory, social/emotional functioning, and behavior, from June 20, 2005 through June 20, 2007? 2. Did District fail to assess Student in areas of suspected disability, including visual-motor integration, writing, working memory, social/emotional functioning, and behavior, as part of its May/June 2006 assessment? 3. Did District deny Student a free appropriate public education by failing to find him eligible for special education and related services under the category of specific learning disability (SLD) or other health impairment (OHI) from June 20, 2005, through June 20, 2007? 1 Issues 1, 2, and 3 are those framed by Student’s counsel and agreed upon by District’s counsel at the prehearing conference and specified in the August 21, 2007, Order Following Prehearing Conference. Although the Order Following Prehearing Conference in this matter stated the issues as two, rather than three, the issues have been reformulated, without changing their substance, for purposes of organizing this Decision. 2 Student raises a number of additional contentions in his closing brief, which was filed on November 16, 2007, after the hearing in this matter. These additional contentions were not raised by Student in his complaint, they were not discussed during the prehearing conference when the issues Student wished to pursue at hearing were clarified, and they were not heard at the hearing. Therefore, those issues are not determined in this Decision. 3 Although Student had requested reimbursement for additional assessments in his complaint (those of Dr. Howard Glidden and Dr. Dawn Aholu), during the prehearing conference those additional requests were not pursued by Student, as reflected in the Order Following Prehearing Conference, because Student had not pleaded in his complaint a claim for reimbursement for independent educational evaluation (IEE). Therefore, reimbursement for an IEE was not an issue at hearing. 5 This information is included for background purposes, as Student’s claims date back only to June 20, 2005, which is two years prior to the filing of his complaint. 7 Scores that fall in the “at-risk” range suggest a significant problem that may not be severe enough to require formal treatment or a potential developing problem that needs careful monitoring. 8 Ms. Anderson made no errors on the BASC in the areas of adaptability and aggression. With regard to attention, the scoring errors actually improved Student’s profile, but Ms. Anderson did not know if it would change his score in that area. However, attention was identified as a primary issue for Student so, according to Ms. Anderson, her recommendations would not have been different. With regarding to atypicality, her scoring errors made Student’s atypicality seem more severe and, thus, the mistakes result in an overestimation of Student’s atypicality. Student’s rating in the area of atypicality was still not a concern. Ms. Anderson made two scoring errors in the area of depression, but she doubted it would change Student’s score. Ms. Anderson made three scoring areas in the area of leadership, but these errors would not change his score. Ms. Anderson made three scoring errors in the area of social skills, but she could say if those errors would have changed his scores. Ms. Anderson made two scoring errors in the area of somatization, but these errors would have made Student’s score in that area higher than it actually was, but that area was still not high enough to cause concern. Ms. Anderson established that there were no scoring errors in the areas of conduct problems, hyperactivity, or withdrawal. Overall, Ms. Anderson did not know what the difference in Student’s BASC scores would be in absence of the errors. However, she believed that her recommendations would be the same without the errors because the errors were not significant to her conclusions and she did not rely solely on the BASC in reaching her recommendations. In addition, Student was making progress in the general education program and benefiting from services and accommodations provided, and he was making progress behaviorally and academically. 9 In his closing brief, Student contends the District’s assessments were not appropriate. The appropriateness of the assessment was not an issue claimed in Student’s due process complaint, was not discussed at the prehearing conference when Student was given the opportunity to clarify issues, was not an issue included in the August 21, 2007, Order Following Prehearing Conference, was not an issue at heard at the hearing. Therefore, it is not an issue that will be determined in this Decision. 10 On October 19, 2007, the final day of hearing, Ms. Dolin testified that the protocols from her assessment of Student were at her office. Student’s counsel requested that Ms. Dolin’s testimony be stricken because District had not disclosed Ms. Dolin’s protocols to Student, even though Student had requested them a number of times. The ALJ ordered District to provide Ms. Dolin’s protocols to Student that day, and the protocols were copied and provided to Student’s counsel. After a lengthy discussion between the ALJ and counsel, it was stipulated that Student’s counsel would be given one week to review the protocols and determine if she required an additional day of hearing to further cross-examine Ms. Dolin or to call another expert to testify regarding Ms. Dolin’s protocols. The ALJ ordered Student’s counsel to inform District’s counsel by October 26, 2007, if she wished to have an additional day of hearing. The parties stipulated that if an additional day of hearing was required by Student, that day of hearing would be held on November 2, 2007. Neither OAH not District’s counsel received notice from Student’s counsel that she wanted an additional day of hearing. On October 23, 2007, Student’s counsel filed a motion to reopen the hearing to call another witness, unrelated to Ms. Dolin’s protocols. That motion was denied on October 30, 2007, and the stipulated procedure for additional testimony relating to Ms. Dolin’s protocols was restated in the order and served by facsimile on Student’s counsel that day. Late in the afternoon on November 2, 2007, Student’s counsel filed a notice of additional testimony regarding Ms. Dolin’s protocols, and scheduled it for November 5, 2007. OAH treated the notice as a motion to reopen the record, and denied the motion as untimely. In her closing brief, Student’s counsel argues that there were a number of scoring errors in Ms. Dolin’s protocols, that her assessment in the areas of visual-motor skills and sensory processing are invalid, and that the visual-motor testing completed by Ms. Anderson and Dr. Glidden appear to be a more accurate reflection of Student’s visual-motor skills. Evidence of errors in Ms. Dolin’s protocols, if any, was not presented during the hearing in this matter. Moreover, as is determinedinfra, Ms. Dolin’s findings regarding Student were consistent with those of Student’s expert, occupational therapist Dr. Dawn Aholu. 11 Although Dr. Aholu recommended outpatient occupational therapy two times a month for eight visits to remediate the concerns she noted in her report, she did not make recommendations for school and did not contact the school. Dr. Aholu provides therapy on an outpatient basis, and has never worked for a school or as an OT in an educational setting. Student’s parents never scheduled the appointments, and Student did not receive the therapy Dr. Aholu recommended. In a clinic-based setting, an occupational therapist can address difficulties in daily life reported by the parents, but that is not the function of schools. 12 Although appropriateness of assessment is not an issue in this matter, it is noteworthy that Student’s expert, Dr. Patterson, administered the Bender Visual Motor Gestalt Test-II to Student on August 25, 2007, and determined that Student’s psychomotor functioning is in the 88th percentile, based on a common standard score of 118 . 13 Dr. Patterson is a psychologist in private practice with 40 years of experience assessing children. Dr. Patterson has been a teacher, a school counselor, a school administrator, and a school psychologist. He holds several academic degrees, including a master’s degree in developmental psychology and a doctorate in clinical psychology. Dr. Patterson is a licensed psychologist, a licensed educational psychologist, a nationally certified school psychologist, a licensed marriage, family, and child therapist, a nationally certified counselor, and a nationally certified gerontological counselor. Dr. Patterson belongs to the Prescribing Psychologists Registry in Guam and in Colorado, and is authorized to bill for medication management services in those jurisdictions. Dr. Patterson has taught college-level classes in conducting assessments, and has conducted thousands of assessments of children for schools, regional centers, and the California Youth Authority. Dr. Patterson produces approximately 150 assessment reports each year. Dr. Patterson ran a clinic for children with ADHD, has assessed many children with this disorder, and is very familiar with the disorder. Dr. Patterson assessed Student on August 25, 2007, and administered a number of instruments, including the Woodcock-Johnson Psycho-Educational Test Battery Test of Cognitive Abilities – Third Edition (WJ-III), which is a test of general intellectual ability (Dr. Patterson administered 19 different subtests of the WJ-III that measure various processing abilities); the Wide Range Achievement Test – Fourth Edition (WRAT-4), a test of achievement functioning; the Peabody Individual Achievement Test – Revised (Nu Form) (PIAT-R(nu)), a test of achievement functioning; the Bender Visual Motor Gestalt Test – Second Edition (Koppitz-2), a test of psychomotor functioning; the Behavior Regulation Inventory for children – Second Edition (BRIEF), which is a test of attentional functioning; the Conners’ Parent Rating Scale – Revised: Long Form (CPRS-R: L), which is an assessment of attentional functioning; the Detroit Test of Learning Aptitudes Motor Speed and Precision Test (DTLA) (Dr. Patterson administered this test when Student was on medication and also when he was not on medication), which is a test of attentional functioning; the Cancellation of Rapid Recurring Target Figures (CRRTF); the Adaptive Behavior Inventory (ABI), which is a test of adaptive functioning; and the Personality Inventory for Children – 2nd Edition (PIC-2), which is a test of social-emotional functioning. Dr. Patterson also reviewed all of the assessment reports regarding Student, and he observed Student’s behavior in his office. Dr. Patterson diagnosed Student with ADHD: Combined Type (With Comorbid Oppositionality), and also with a disorder of written expression. 14 Although District did not have Dr. Patterson’s August 2007 report at the time it conducted its May 2006 assessment, it is noteworthy that Student’s expert, Dr. Patterson, tested Student in the area of working memory in August 2007 and determined that on the working memory tasks from the WJ-III, Student “was performing well into the average range.” Student’s overall broad processing cluster for working memory was a common standard score of 103, which is at the 57th percentile. Student received a standard score of 104, which is at the 60th percentile on the Auditory Work Memory task administered by Dr. Patterson. On the numbers reversed subtest, Student received a common standard score of 101, which is at the 53rd percentile. 15 Scores that fall in the “clinically significant” range suggest a high level of maladjustment. 16 Student did not contend in his complaint or at hearing that he was eligible for services under any other category of eligibility, such as emotional disturbance. Mother felt strongly that Student was not eligible under that category. Therefore, Student’s eligibility under that category is not considered in this Decision. 17 SLD eligibility may be found by either of two methods: the “severe discrepancy” method or the response to intervention (RTI) method. “When determining whether a child has a specific learning disability…a local educational agency shall not be required to take into consideration whether a child has a severe discrepancy between achievement and intellectual ability in oral expression, listening comprehension, written expression, basic reading skill, reading comprehension, mathematical calculation, or mathematical reasoning.” (20 U.S.C. § 1414(b)(6)(A); see also 34 C.F.R. 300.309 (b); Ed. Code, § 56337, subd. (b).) Instead, “a local educational agency may use a process that determines if the child responds to scientific, research-based intervention as a part of the evaluation procedures … .” (20 U.S.C. § 1414(b)(6)(B); see also Ed. Code, § 56337, subd. (c).) Accordingly, the RTI method of determining SLD is not a test or procedure that must be conducted with every child who has a processing disorder, but instead is a way that a local educational agency may determine eligibility based on an underachieving child’s response to scientific, research based interventions conducted in the classroom. Student presented no evidence regarding the RTI method of determining SLD eligibility and did not argue in his closing brief that he was eligible under the RTI method. 18 In addition, according to Dr. Patterson, Student also qualifies under OHI because of motor speed and accuracy issues; however, as discussed above, Dr. Patterson’s determination regarding processing speed deficits was not credible. 19 Decision speed is measured by having the student match visual concepts, or two pictures. Auditory and verbal information are minimized with this subtest. The subtest measures the ability to process visual information quickly, and gives information as to one’s ability to acquire a symbol system, such as language, and a deficit in this area could interfere with one’s ability to learn to read or comprehend. 20 The federal regulations within Title 34 Code of Federal Regulations part 300 were amended effective October 13, 2006. The federal regulations cited herein do not substantively differ from their predecessor, although the new federal regulations are numbered differently than the old federal regulations. The citations herein are to the new regulations. Student contends that the District had a child find obligation to assess him in areas of suspected disability, including writing, visual-motor integration, working memory, social/emotional functioning, and behavior, from June 20, 2005 through June 20, 2007. The District disagrees, contending that it assessed Student in these areas of suspected disability when it had reason to suspect that Student had a disability in those areas and may have needed special education. Student further contends that when District assessed him in May and June 2006, it failed it assess him in areas of suspected disability, including writing, visual-motor integration, working memory, social/emotional functioning, and behavior. District contends it assessed Student in all these areas. 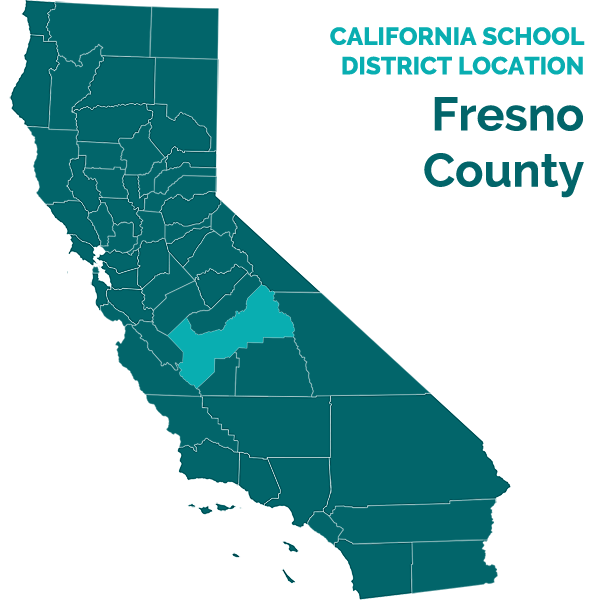 Student further contends that District denied him a free appropriate public education by failing to find him eligible for special education and related services under the categories of SLD and OHI. Student contends that he is eligible for special education under the category of SLD because he has an attention deficit disorder and also processing speed disorders, and that he demonstrates a severe discrepancy between intellectual ability and academic achievement as measured by standardized testing. Student contends that he is eligible for special education under the category of OHI because he suffers from an attention deficit disorder that interferes with his ability to complete schoolwork. With respect to both SLD and OHI, Student contends that his disability adversely affects his educational performance in that he has an inability to write and lacks sufficient processing skills to achieve in the area of written language, and because his behaviors that result from his ADHD (aggressive behaviors and difficulties with work completion) result in his removal from the classroom and he is losing learning opportunities when he is not in the classroom. Therefore, Student contends that he requires special education and related services. District contends that Student is ineligible under the category of SLD because he does not have a severe discrepancy between intellectual ability and academic achievement, and that even if there were such a discrepancy, Student does not require special education because he is making educational progress in the general education classroom, he is achieving academically in the average to above average range, he is earning average to above average grades, and he is scoring in the proficient and advanced ranges on the California Standardized Testing and Reporting (STAR) test. District contends that Student is ineligible under the category of OHI because his educational performance was not adversely impacted by his ADHD, and that even if it were, he does not require special education because, as stated above, he is progressing academically in the general education classroom. District acknowledges that Student has difficulties with completing work, that he has behavior problems, and that he is noncompliant with nonpreferred activities, such as writing. However, District contends that Student is able to write, but chooses not to at times. District further contends that it is addressing Student’s work completion and behavior issues through a plan pursuant to Section 504 of the Rehabilitation Act of 1973 (504 Plan),4 and that the Section 504 plan is working. Student filed his due process complaint on June 20, 2007, and OAH set the due process hearing for August 28, 2007. The prehearing conference was held on August 20, 2007, and, during that conference, the due process hearing was continued on Student’s motion, to commence on September 12, 2007. The grounds for the request for continuance were that Dr. Robert Patterson, Student’s expert, had not completed his assessment report regarding Student and that Dr. Patterson was unavailable during the week scheduled for hearing. The continuance was granted. Dr. Patterson did not assess Student until August 25, 2007, which was four days after the prehearing conference. On September 6, 2007, the parties filed a joint request to postpone the hearing one day because Ms. Yama had not served Student’s evidence on District five business days prior to the hearing, as required by law. The joint request to postpone the hearing was granted. On September 13, 2007, when the ALJ and parties were assembled in Fresno for the due process hearing, Ms. Yama still had not disclosed Dr. Patterson’s report to District. Since Ms. Yama had not provided Dr. Patterson’s report to District, as was previously instructed, District and the ALJ assumed Ms. Yama no longer intended to call Dr. Patterson as a witness. However, at the commencement of the hearing, District and the ALJ were informed by Ms. Yama that this was not the case. Ms. Yama intended to call Dr. Patterson even though she had not disclosed his report, and she intended to elicit testimony regarding his assessment of Student. Ms. Yama’s explanation for not having disclosed the report was that Dr. Patterson’s typist had been ill, and the report had not been typed. However, Ms. Yama had not informed District of this fact prior to the hearing, and she had not informed OAH. Nor had she requested a continuance. District moved to bar testimony by Dr. Patterson based on the fact that his report had not been disclosed to District, as required by law. In addition, District contended, if Dr. Patterson was not going to produce a report, District would be entitled to receive Dr. Patterson’s testing protocols if Student intended to elicit testimony regarding the testing. The ALJ ruled that although Dr. Patterson would be permitted to testify as an expert as to general matters, he would not be testify as to his assessment of Student because neither his report nor his assessment protocols had been disclosed to District. Ms. Yama requested another continuance, which District did not oppose. The request for continuance was granted. Thus, the hearing did not go forward on that day, as scheduled. On October 9, 2007, District filed a Motion for Sanctions requesting an order for legal fees, in the amount of $783, incurred by District in participating in the due process hearing on September 13, 2007. The amount was based on an hourly rate of $174, and 4.5 hours of Ms. Samman’s time. On October 12, 2007, Student filed its Objection to District’s Motion for Sanctions. Ms. Yama contended in her opposition that she was required to disclose Dr. Patterson’s report only if it was available five business days prior to the hearing, and it was not. Otherwise, she was not required to disclose it. Prior to the commencement of hearing on October 15, 2007, Ms. Yama disclosed Dr. Patterson’s report, and Dr. Patterson testified at the hearing. The ALJ ruled that District’s Motion for Sanctions would be determined in this Decision. days prior to the hearing pursuant to paragraph (7) of subdivision (e) of Section 56505.” (Ed. Code, § 56505.1, subd. (f).) This ensures the right to confront and cross examine the witness, pursuant to Education Code section 56505, subdivision (e)(3). a party to pay reasonable expenses, including attorney’s fees, incurred by another party as a result of bad faith actions or tactics that are frivolous or solely intended to cause unnecessary delay, as defined in Code of Civil Procedure section 128.5. Code of Civil Procedure section 128.5, subdivision (b)(2), states that “frivolous” means totally and completely without merit or for the sole purpose of harassing an opposing party. Dr. Patterson was Student’s key expert in this matter, and there was no reasonable basis in law on which Ms. Yama could have determined that she could appropriately circumvent disclosure requirements and elicit testimony from Dr. Patterson regarding his assessment of Student without disclosing Dr. Patterson’s report or testing protocols. Ms. Yama’s actions created a risk for her client that the ALJ would bar Dr. Patterson from testifying on behalf of Student, and that was a risk that Ms. Yama was apparently willing to take when she appeared at hearing on September 13, 2007, ready to proceed even though she had not disclosed Dr. Patterson’s report or testing protocols. Therefore, her actions cannot be considered to be in bad faith or solely intended to cause unnecessary delay. Therefore, District’s motion for sanctions is denied. 1. Student is 10 years of age and resides with his father (Father) and mother (Mother) within the geographical boundaries of District. Student’s primary language is English. 2. Student is currently in the fourth grade at Maple Creek Elementary School (Maple Creek) within District. Student attended a private school for preschool and kindergarten, and has attended school at Maple Creek in a general education classroom since beginning first grade. Student has a history of difficulties with work completion, following instructions, behavior, and social skills, all dating back to preschool. Student was diagnosed with ADHD in 2003, prior to beginning first grade at Maple Creek, and over the years he has taken a number of medications prescribed for that condition. Student, who was a young first grader with a September birthday, was retained one year in first grade because of lack of maturity, behavior problems, and problems with writing, reading, spelling, and fine motor skills. 3. In January and February 2005, District assessed Student for eligibility for special education and related services.5 School psychologist Ann Anderson conducted a psychoeducational evaluation of Student and prepared a written report, dated January 27, 2005, and resource specialist teacher Terri Weigand prepared an educational evaluation on January 24, 2005. Ms. Anderson assessed Student in the areas of cognitive development, social and emotional development, and motor and perceptual development. Ms. Anderson administered a number of instruments, including the Developmental Test of Visual-Motor Integration (VMI), which is a norm-referenced, standardized measure of visual-motor integration that requires a child to copy a set of progressively more complex geometric designs. Ms. Anderson administered that Wechsler Intelligence Scale for Children: Fourth Edition (WISC-IV), which is a norm-referenced, standardized measure of intelligence for children that yields an intelligence quotient (IQ) with a mean of 100 and a standard deviation of 15. Ms. Anderson also administered the Behavior Assessment Scale for Children (BASC), which is a norm-referenced, standardized behavioral assessment system designed to facilitate the differential diagnosis and classification of a variety of emotional and behavioral disorders of children and to aid in the design of treatment plans. Mother, Student’s teacher, and Student completed rating forms for the BASC. Ms. Anderson also administered the ADDESSecond Edition (ADDESS), which is an instrument used to report the presence of symptoms related to ADHD, because of concern regarding hyperactivity and impulsive behaviors. Both Mother and Student’s teacher completed rating scales for the ADDESS. Ms. Anderson also administered the SPELT-II, which is an informal language screening. Ms. Anderson also referred previous referral information, observed Student, and reviewed report cards. Ms. Weigand administered the Woodcock Johnson III Tests of Achievement (WJTA), along with several other tests. School nurse Sue Holmen conducted a health assessment. 4. On February 22, 2005, District convened an initial individualized education program (IEP) team meeting regarding Student. The IEP team discussed the assessments and reviewed Student’s academic achievement. The IEP team determined that Student was not eligible for special education and related services because he was learning and making progress in the regular education classroom. In addition, Student’s teacher was implementing various strategies to increase Student’s writing, such as the use of a dictionary and having Student create his own dictionary, and these strategies were working. Student’s teacher was also working with Student to improve compliance with writing assignments, and Student was practicing more and improving. The strategies that were being implemented to improve behavior, such as a positive behavior contract, were working as well. 5. Also on February 22, 2005, immediately following the IEP team meeting, District convened a student study team (SST) meeting to determine whether Student required accommodations. Because of Student’s distractibility, organizational skill weakness, classroom behaviors, and poor work completion, District developed an initial accommodation plan for Student pursuant to Section 504. That Section 504 plan addressed areas of need, including attention, focus, organization, work completion, behavior, and test-taking. Did District have a child-find obligation to assess Student in the areas of visual-motor integration, writing, working memory, social/emotional functioning, and behavior, from June 20, 2005, through June 20, 2007? 6. Student contends that, from June 20, 2005, through June 20, 2007, District had a child-find obligation to identify, locate, and assess him in areas of suspected disability, including visual-motor integration, writing, working memory, social/emotional functioning, and behavior, and that, with the exception of the May/June 2006 assessment, it failed to do so. 7. The Individuals with Disabilities Education Act (IDEA) and state law impose upon each school district the duty to actively and systematically identify, locate, and assess all children with disabilities or exceptional needs who require special education and related services. This statutory obligation is often referred to as the “child find” obligation. The child find obligation also applies to children who are suspected of having a disability and of being in need of special education even though they may be advancing from grade level to grade level. A district’s child find obligation toward a specific student is triggered when there is reason to suspect a disability and that special education services may be needed to address that disability. 8. Student began second grade in the 2005-2006 school year with his February 2005 Section 504 plan, described above, in place. On October 11, 2005, District convened an SST meeting to review Student’s Section 504 plan. The areas of concern at that meeting were work completion, attention and focus, and written work. Ms. Lisa Bath, the school psychologist who was responsible for implementing Student’s Section 504 plan, testified credibly that the Section 504 team discussed the fact that Student did not like to write, that he struggled with writing, that it was difficult for him, and that he did not believe that he was good at it. Handwriting was difficult for Student and required additional focus. It appeared to Ms. Bath at the time that handwriting was something that Student did not like to do. The October 11, 2005, Section 504 plan provided for a reduced amount of repetitive drill work or shortened assignment length, and incentives for work completion. According to the notes from that meeting, Student was self-monitoring his work and would check in with his teacher as he completed assignments. He was taking home the work he needed to finish in class. According to Student’s teacher, he was completing about half his class work during class in October 2005. Also, District staff suggested the “Type to Learn” program for Student to use at home to learn to type because of his difficulties with writing. 9. By the middle of his second grade year, Student began having behavior problems at school, such as aggression toward other students and tantruming in class. Student was disciplined for various infractions 24 times during the 2005-2006 school year. Student had 25 referrals to the office and/or “accountability checks”6 from October 2005 through April 2006, and approximately 16 of these 25 were based on Student’s failure to complete class work. The purpose of the school’s accountability program is to teach children to make appropriate choices, with the goal of extinguishing negative behaviors and replacing them with positive ones. Student’s parents felt that District was holding Student accountable for his disability, and that District did not care about his disability. They believed Student should be held accountable only for dangerous conduct or behaviors. 10. A follow-up SST meeting was held on February 28, 2006. In November 2005, Dr. Howard Glidden had conducted a neuropsychological evaluation of Student based on a referral from Student’s primary care physician, and had diagnosed Student with ADHD and developmental coordination disorder. Student’s parents provided Dr. Glidden’s report, along with his recommendations, to District in February 2006 at the Section 504 team meeting. As a result of that meeting, a behavior support plan (BSP) was developed and implemented to address Student’s aggressive behaviors and work completion difficulties. The BSP states that Student’s behaviors were interfering with his learning. Student was completing some of his work in class, and the rest was being completed at home. 11. Student’s parents believed, and expressed to District personnel at the February 2006 Section 504 meeting, that Student’s problems with work completion and behavior were the result of his ADHD, and not the result of behavior disorder. Student’s parents were concerned about the number of hours Student was spending to complete his class work at home, and they believed he was being punished for his inability to complete his work in class and, therefore, he was being punished for his disability. Student’s parents believed that the responsibility of educating Student had been shifted to them, and that Student needed something more than he was getting at school because he was unable to complete his work at school and had to bring it home. Mother estimated that Student was completing only 10 to 20 percent of his work in class, and the rest was coming home. According to Mother, the only reason Student’s grades were good was because she and Father were educating Student and providing one-to-one assistance on Student’s class work at home. 12. School psychologist Ms. Bath was sufficiently concerned about Student’s escalating aggressive behavior and class work completion problems, as discussed at the February 28, 2006, Section 504 meeting, that she contacted Mother by telephone in March 2006 and suggested that Student might qualify for special education under the category of emotional disturbance (ED). Mother became upset and denied that Student had an emotional disturbance. District prepared an assessment plan for Student in April 2006, and Student’s parents signed that assessment plan. Student’s contention for purposes of this issue is that Student should have been assessed in areas of suspected disability, including visual-motor integration, writing, working memory, social/emotional functioning, and behavior prior to that time. 13. Student’s contention that District failed to assess him in the area of visual-motor integration is based on the argument that visual-motor integration was an area of suspected disability, and that it rendered Student unable to complete his written work at school, and that District failed to refer him for assessment in this area until April 2006. 14. District had assessed Student in the area of visual motor-integration in January 2005, as discussed in Factual Finding 3. Ms. Anderson, the school psychologist who administered the psychoeducational evaluation in January 2005, determined that Student scored in the below average range in that area with a standard score of 79, which placed him in the sixth percentile when compared to other children his age. This indicates that his visual-motor integration and fine motor skills were delayed, and that he could experience problems writing as quickly or neatly as other students, or problems copying from the board. However, Ms. Anderson testified credibly that Student’s problems with writing were behaviorally based. Student had good ideas for writing, but he refused to write and needed prompting start writing. Student insisted on writing and spelling perfectly, he wanted his written work to be perfect, and he wanted individual help with spelling in order to write. Student’s first grade teacher, Ms. Linn, established that Student was capable of writing when he was in her class in the 2004-2005 school year. In February 2005, Student’s IEP team determined that Student did not meet the eligibility criteria for special education. 15. Ms. Lori Kuipers, a teacher with more than a decade of experience in teaching first and second grade, was Student’s second grade teacher from the beginning of second grade in the fall of 2005 through the end of April 2006. Ms. Kuipers was well aware of Student’s work completion problems, particularly with writing. Student completed little written work in class, and Ms. Kuipers sent him to the office many times as a result of his work completion problems. However, she testified credibly that when Student wanted to write, his writing was on grade level. Ms. Kuipers conducted informal assessments of students in her class in the areas spelling and language, including punctuation and grammar, and Student tested above grade level on these tests. Ms. Kuipers did not have a problem getting Student to complete these informal assessments. At the beginning of the school year, Student was writing in his journal in class. Testimony of Ms. Kuipers established that when Student liked what he was working on, he could write on grade level, form complete sentences with capitalization and punctuation, and convey a story and narrative. Testimony of Ms. Kuipers also established that Student’s failure to complete work was not caused by a lack of ability on Student’s part but, rather, was due to his choice not to complete the work. In addition, Student was making academic progress that year, and earning A and B grades. 16. Also, Dr. Howard Glidden, a private psychologist retained by Student’s parents to conduct a neuropsychological evaluation of Student, administered the Beery Visual Motor Integration (5th Edition) (Beery) to Student on November 16, 2005. Student scored in the 36th percentile on that administration of the Beery. Dr. Glidden also administered the Bender Visual-Gestalt Test (Bender) to Student on November 16, 2005, and Student obtained a standard score of 85 on that measure. That score was within the average range. Student’s parents gave his report to District at the SST meeting on February 28, 2006. 17. Based on the foregoing, District had no reason to suspect that Student had a disability in the area of visual-motor integration and that he might need special education prior to the early months of 2006, and it referred Student for assessment in April 2006. 18. Student’s contention that District failed to assess him in the area of writing is based on the argument that writing was an area of suspected disability because Student could not complete written work. Student contends District did not refer him for assessment until April 2006. 19. As discussed above in Factual Finding 3, District assessed Student in the area of writing in January 2005 as part of District’s initial assessment of Student. Based on the academic assessment conducted by Ms. Weigand, it was determined that Student’s writing was on grade level at the time. Student’s first grade teacher, Ms. Linn, established that his writing was on grade level when he wanted to write. When Student began second grade in the fall, Ms. Kuipers informally assessed him in the area of writing and determined he was on grade level. Ms. Kuipers was aware that Student would not write sometimes, and that he had difficulties with completion of written work. However, she testified credibly that when Student liked what he was working on, he could write on grade level and form complete sentences with capitalization and punctuation. He could convey a story and narrative. Ms. Kuipers testified credibly, and based on her experience, that Student wrote when he wanted to. Student was achieving A and B grades that year. Until the early months of 2006, District had no reason to suspect that Student had a disability in the area of writing and needed special education, and it referred District for assessment in April 2006. 20. Student’s contention that District failed to assess him in the area of working memory is based on the argument that working memory was an area of suspected disability, that District did not refer Student for assessment until April 2006. 21. District’s January 2005 assessment of Student, discussed above in Factual Finding 3, included the administration of the WISC-IV, and assessed Student in the area of working memory. Student received a standard score of 83, which is in the 13th percentile, and in the low average range. Student’s IEP team determined in February 2005 that he was not eligible for special education. Dr. Glidden administered the WISC-IV to assess Student in the area of working memory in November 2005. Student received a standard score of 88, which is in the 21st percentile. Student’s parents gave this report to District at the February 28, 2006, SST meeting. 22. As discussed above, Student was progressing academically in the second grade. He was achieving A and B grades and achieving at or above grade level in all areas. District had no reason to suspect that Student had a disability in the area of working memory and that needed special education in that area, and it had no obligation to assess Student in that area. 23. Student’s contention that District failed to assess him in the area of social/emotional functioning is based on the argument that this was an area of suspected disability, that District did not refer Student for assessment until April 2006. 24. As discussed previously in Factual Finding 3, District assessed Student in January 2005, and this assessment included assessment in the area of social/emotional functioning, based in part on Ms. Anderson’s administration of the BASC. It was determined as a result of that assessment that Student demonstrated behavior patterns in the classroom setting that placed him in the at-risk7 range for adaptive skills, which include difficulties with adaptability, social skills, leadership, and study skills. Student was also determined to be in the at-risk range on the depression and hyperactivity scales. Student was, at the time, taking Medidate, a medication prescribed for ADHD. In the classroom, Student was constantly in motion, had difficulty staying on task, and had rapidly fluctuating moods. Student would often sit and do nothing and fail to complete tasks if he did not have frequent monitoring and supervision by the teacher. Student had difficulty with transitions because of his need to maintain his backpack contents, desk contents, and supplies in a very precise order, which caused Student to lag behind. Student’s IEP team determined in February 2005 that he was ineligible for special education. 26. Student began the second grade in the fall of 2005, and made academic progress, as established by Ms. Kuipers’ testimony, discussed above in Factual Finding 19. While Student exhibited negative behaviors in terms of failing to complete class work, he was not exhibiting aggressive behaviors toward other children. In the middle of the school year, Student began refusing to do work in class on some days, and he began hitting, tripping, and throwing things at other children in the classroom and on the playground. Prior to that time, and based on the fact that Student had been assessed in the area of social/emotional functioning in January 2005 and that Student’s February 2005 IEP team determined that Student was not eligible for special education, District had no reason to suspect that Student had a disability in the area of social/emotional functioning and that he may need special education. When Ms. Bath, who engaged in ongoing communication with Ms. Kuipers, Student’s teacher, learned of Student’s aggressive behaviors toward other children and that Student’s work completion difficulties were worsening, Ms. Bath met with Student’s parents at the February 28, 2006, Section 504 meeting, and she began initiating the referral process for Student to be evaluated. District’s April 2006 referral of Student for evaluation was made within a reasonable time. 27. Based on the foregoing, District had no reason to suspect Student had a disability in the area of social/emotional functioning and may have needed special education prior to the time that it referred Student for assessment in that area. 28. Student’s contention that District failed to assess him in the area of behavior is based on the argument that behavior, including aggressive behaviors and failure to complete work, was an area of suspected disability because Student was not completing work in class and was exhibiting inappropriate behaviors. Student further contends that District did not refer Student for assessment until April 2006. 29. As discussed above in Factual Finding 3, District assessed Student in January 2005. That assessment included assessment in the area of social/emotional functioning, as discussed above. During the 2005-2006 school year, Student’s Section 504 plan was in place, Student was completing some of his work, and he was not behaving aggressively toward other students. As discussed in Factual Finding 19, Student was progressing academically. In the middle of the school year, Student’s problems with work completion escalated and Student began hitting, kicking, and throwing things at other children in the classroom and on the playground. When Ms. Bath learned of these behaviors, she met with the parents at a Section 504 plan meeting and initiated the assessment process. Prior to that time, and based on Student’s previous assessment, District had no reason to suspect that Student had a disability in the area of behavior and that he may need special education. 30. After District completed its May 2006 assessment, Student’s IEP team met on June 6, 2006, and determined that Student was not eligible for special education. Student’s parents disagreed with that determination. During the initial months of the 2006-2007 school year, Student continued to experience the same problems he had experienced with work completion. Due to Student’s parents’ concerns regarding his progress and their belief that he was eligible for special education as a result of his ADHD, District recommended that an addendum to the previous assessment be conducted because District had assessed Student just four months prior to that time, in May 2006. 31. On October 19, 2006, District prepared an assessment plan to update its May 2006 assessment by conducting a health and development assessment, conducting an assessment of academic/preacademic achievement by reviewing previous assessments and updating as needed, and conducting a classroom observation. District agreed to bring in a behavior specialist as part of the assessment to help guide them in increasing Student’s work productivity because it had already been determined that Student was capable of doing the work he was being asked to do. Therefore, the assessment plan specified “Behavior Specialist” under the list of “qualified professional[s] responsible for the administration and interpretation of the assessment,” and the notation next to the words “Behavior Specialist” indicate that “KW”, or Kathy Wandler, would be the behavior specialist, and that she would conduct a classroom observation. The assessment plan did not specify that an assessment report would be completed by the behavior specialist. Parents signed the assessment plan on October 26, 2006, consenting to District conducting the assessment described in the assessment plan. 32. District completed its addendum to the May 2006 assessment on December 6, 2006. The psychoeducational assessment and academic assessment were updated because both had been completed within the previous six months. Ms. Bath and Ms. Weigand each observed Student in the classroom. No assessment instruments were administered by either Ms. Bath or Ms. Weigand. Ms. Wandler, who is a board certified behavior analyst employed by District for nine years, conducted a behavior analysis as part of the assessment and prepared a BSP. 33. Student contends that District failed to meet its child find obligation with respect to Student in the 2006-2007 school year, and did not assess him in areas of suspected disability, including writing, visual-motor integration, working memory, social/emotional, and behavior. As discussed in Factual Finding 7, a district’s child find obligation toward a specific student is triggered when there is reason to suspect a disability and that special education services may be needed to address that disability. 34. The assessment plan signed by parents on October 26, 2006, did not include assessment in the area of motor/perceptual development, and did not specify that an occupational therapist would be among the list of “qualified professional[s] responsible for the administration and interpretation of the assessment.” In addition, the assessment plan did not include assessment in the area of cognitive functioning, which could have included assessment in the area of pscychomotor functioning and visual-motor integration. District did not assess Student in the area of visual-motor integration during the 2006-2007 school year. 35. Given that the assessment plan signed by parents did not include assessment in the area of visual-motor integration, the issue for resolution is whether District had a reason to suspect that Student had a disability in the area of visual-motor integration and may have needed special education for that disability during the 2006-2007 school year. 36. As discussed above, District assessed Student in the area of visual-motor integration in May 2006, and Student’s IEP team determined in June 2006 that Student was not eligible for special education. Ms. Wandler developed a BSP for Student as part of the December 2006 assessment, and Student’s parents consented to the implementation of that BSP in February 2006. The BSP, which was developed based on approximately 30 hours of classroom observation of Student by Ms. Wandler, was designed to motivate Student to begin his assignments, and to give him the opportunity to make positive choices. Ms. Wandler worked directly with Mr. Kliewer to set up the plan and to make sure it was working. Ms. Wandler spent approximately 50 hours in the classroom implementing the BSP. Ms. Wandler testified credibly that the BSP was working. Ms. Wandler observed that Student responded to the BSP, and she observed Student write more. Student actually showed off his writing to Ms. Wandler. He began engaging and following directions. Ms. Wandler testified credibly that Student was capable of doing his work. 37. Mr. Kliewer, Student’s third grade teacher in the 2006-2007 school year, and a teacher employed by Clovis Unified for 18 years, testified credibly that while it was difficult for him to motivate Student to produce writing, Student is capable of writing. Student would tell Mr. Kliewer that that he did not want to write and did not like writing. Some days Student would complete his work, and other days he would not. Also, Student would write sentences in his journal in Mr. Kliewer’s class about Pokemon. Ms. Kliewer established that, while Student did not want to write, he is capable of writing. 38. Consistent with Mr. Kliewer’s testimony, the evidence established that when Student was sent to the office for disciplinary matters and was asked to write a letter of apology to another student he had hurt or an incident report, he was able to do so without any assistance. He used good handwriting, wrote multiple sentences, indented properly, and used adverbs. In the incident reports, Student described what happened during the incidents. Ms. Myrna Powers, the guidance instructional specialist at Maple Creek who is responsible for the discipline program at the school, testified credibly that she saw Student produce these works of writing. Ms. Powers testified credibly that Student loved “campus club,” the school’s after school program. At 3:00 p.m. one day when Student was in her office, Student said it was time to go to campus club. Ms. Powers told Student that he could go when he completed his work. He completed his assignments in 20 minutes that day, and there was a lot of work. Three days later, it happened again. Student completed his all of his assignments that day in 35 minutes. Ms. Powers checked the work and it was done accurately. Student had no work to take home that night. Ms. Powers holds a clear clinical rehabilitation credential for speech and language pathology and an administrative services credential, and she also holds a master’s degree with an emphasis in communicative disorders. Her testimony that Student could write was credible. 39. Based on the foregoing, District had no reason to suspect that Student had a disability in the area of visual-motor integration during the 2006-2007 school year. This determination is consistent with the findings of Dr. Aholu, who was retained by Student’s parents to assess Student again in September 2007. Dr. Aholu conducted a parent interview and clinical observations as part of this assessment. She administered the BOT, the Beery, and the Sensory Profile, which is a caregiver questionnaire. On the Beery, Student was two months behind age level. His score was in the average range. On the BOT, Student was average or above in all areas except for fine motor integration and upper limb coordination. He was below average in both of those areas. Fine motor integration measures skill reproducing figures and shapes, which requires the ability to integrate visual stimuli with motor control skills. Upper limb coordination measures visual tracking with coordinated arm and hand movement. Student’s visual-motor integration and visual-motor control skills were in the average range. When Student used paper with lines designed by a teacher, his handwriting was well spaced and well written. She asked him to write fast, and it was still legible and well written. He did not report being in pain while writing. 40. During Dr. Aholu’s September 2007 assessment, as with previous assessments by Dr. Aholu and Ms. Dolin, Student again wanted to do things his own way, and not in the way Dr. Aholu wanted him to do them, and he actually said he wanted to do them his own way. This could affect his scores and skew the scores downward on a standardized test. For example, Student scored in the average range on upper limb coordination during the 2005 testing, and in the below average range in the same area in 2007. He refused to complete some tasks that he had completed when she assessed him two years earlier. In Dr. Aholu’s opinion, Student was capable. He was unwilling, not incapable. 41. Based on the foregoing, District had no reason to suspect that Student had a disability in the area of visual-motor integration and that he may need special education for that disability. 43. Ms. Weigand was responsible for the academic assessment portion. Ms. Weigand conducted a classroom observation and spoke with Student’s teacher. She determined that it was not necessary to administer the WJTA again because she had just administered it in May 2006. Ms. Weigand was of the opinion that Student was capable of doing grade-level or above grade-level work, and he was making “great” academic progress in the general education classroom in every academic area, and that he can access the curriculum. 44. As discussed above, in Factual Findings 19 and 34 through 41, Student was capable of writing that year, and his academic performance was at or above grade level. On the spring 2007 administration of the STAR, Student again scored in the proficient range in English/language arts and in the advanced range in math. Student earned mostly A and B grades that year, and received no grade that was below a C. Writing was a part of Student’s language arts grade, and Student was earning good grades in language arts. While Student did not complete most of his writing assignments in class, his failure to complete was not based on an inability to do so. It was his choice. District was working with Student through the use of a BSP to motivate Student to write more, and the BSP was working. Ms. Wandler testified credibly that the BSP could be modified to work even better. 45. Based on the foregoing, District had no reason to suspect that Student had a disability in the area of writing and that he may need special education for that disability. 46. The assessment plan signed by parents on October 26, 2006, did not include assessment in the area of cognitive functioning, within which working memory would be included if it were an area of suspected disability. 47. Given that the assessment plan signed by parents did not include assessment in the area of working memory, the issue for resolution is whether District had a reason to suspect that Student had a disability in the area of working memory and needed special education during the 2006-2007 school year. 48. There was no testimony or documentary evidence establishing that working memory was an area of suspected disability in the 2006-2007 school year. Pursuant to Dr. Patterson’s administration of the WJ-III working memory subtests in August 2007, Student was “performing well into the average range” in the area of working memory. Student was performing at the 57th percentile in that area, yet his full-scale IQ was 101, according to Dr. Patterson, which was in the average range. 49. Based on the foregoing, District had no reason to suspect that Student had a disability in the area of working memory and that he may be in need of special education for such a disability. 50. The assessment plan signed by parents on October 26, 2006, did not include assessment in the area of personal, social, and emotional development. The assessment plan did, however, include classroom “observation” by a behavior specialist, Ms. Wandler. Although the assessment plan did not require a written report by Ms. Wandler, she prepared a BSP for Student. 51. Given that the assessment plan signed by parents did not include assessment in the area of social/emotional functioning or behavior, the issue for resolution is whether District had a reason to suspect that Student had a disability in the area of social/emotional functioning or behavior and needed special education during the 2006-2007 school year. 52. As discussed above, Student had been assessed in the area of social/emotional functioning and behavior in May 2006, and in June 2006 the IEP team determined that he was not eligible for special education. Mother reported to the school nurse on May 25, 2006, that Student was doing much better since he changed classrooms. Student’s aggressive behaviors that had been a problem in the spring of 2006 were not present after he moved from Ms. Kuipers’ to Ms. Sutton’s class in April 2006, and Mr. Kliewer established that Student’s aggressive behaviors were not present in during the beginning of the 2006-2007 school year. 53. Prior to commencing her classroom observations of Student, Ms. Wandler interviewed Ms. Bath and Student’s teacher, who conveyed that Student was not doing work in class, and that if he started doing a task, he did not maintain the work momentum and complete the task. Ms. Wandler conducted approximately 30 hours of observation of Student in class from October through December 5, 2006. She obtained data and identified target behaviors, and those became the baseline. Ms. Wandler prepared a BSP that paired rewards, in the form of reinforcements and social praise, and punishments because, according to Ms. Wandler, research shows clearly that pairing punishment with a reinforcer is much more effective in children with ADHD than using one of the two alone. 54. Ms. Wandler determined that Student, by employing his behaviors, was escaping task demands, obtaining or accessing contingent school privileges, and avoiding task demands. Student would refuse to do work in class and say that he would do the work at home. He was not only able to escape doing the task, but he was also obtaining adult attention. Student was not required to put forth effort to get privileges such as recess and field trips, and there was no reason for him to change his behavior if he did not have consequences. Student’s noncompliance was actually being reinforced at school. However, Ms. Wandler determined that Student had skills of alternative behavior in his behavior repertoire. Student was upset when he lost an accountability check earlier in the year, and asked if he could earn it back. The purpose of the BSP is to change consequences so that Student learns to function in life. 55. Ms. Wandler prepared a BSP and presented it at the Demember 6, 2006, IEP meeting. According to the IEP notes, Student was having the most difficulty in the area of writing, and especially with lengthy assignments, although the focus of discussion at the meeting was on behavior. The IEP team determined that Student was ineligible for special education. District convened a 504 meeting after the IEP meeting, and the Section 504 team determined that Student’s problems with work completion and completing written assignments was due to noncompliance with a nonpreferred activity, and that the BSP proposed by Ms. Wandler would target those behaviors. Parents did not consent to the implementation of the BSP in December 2006 because they still believed that the BSP would punish Student for his ADHD, and that Student was eligible for special education as OHI or SLD. While Student’s parents believed his behavioral problems resulted from ADHD, Ms. Wandler’s opinion, which was credible, was that they did not. Ms. Wandler conducted extensive observation of Student in his classroom, and she observed that Student did not engage in some assignments from the beginning, while many children with ADHD will engage and then become distracted. 56. In January 2007, without a BSP in place, Student began to exhibit behaviors again. District convened a Section 504 team meeting on February 16, 2007, and Student’s parents consented to the implementation of the BSP. Ms. Wandler worked with Mr. Kliewer and Student in the classroom for several weeks to implement the BSP. 57. On March 30, 2007, the 504 team reviewed the new BSP, and determined that the BSP was working and was increasing Student’s rate of work completion, although Student was still struggling with work completion and following directions, and that he was off-task and appeared to be not engaged. In addition, there were still inconsistencies in his day-to-day performance. Ms. Wandler continued to work extensively with Mr. Kliewer until April when Student’s alternative behaviors were in place and Student was complying more frequently. At that point, Ms. Wandler “faded out.” According to Ms. Wandler, the BSP was working. 58. Ms. Wandler’s testimony was credible. Ms. Wandler holds a bachelor of science in child development, a master of arts in education and psychology (combined), a master of science in special education with an emphasis in autism, a special education teaching credential, an applied behavior analysis certificate. Ms. Wandler has years of experience as a behaviorist and working with children with disabilities. She is currently an adjunct faculty member at California State University, Fresno, and teaches a class she designed for general education teachers to learn to classroom management, behavior management, and how teach students with special needs in the inclusive setting classroom. In addition, Ms. Wandler consults with other districts and with families as part of her private practice. At District, Ms. Wander assists teachers in implementing behavioral or instructional strategies. She is called in when a student is displaying classroom behaviors that are impeding his or her own learning or that of others. She identifies triggers and produces research-based interventions. It is part of her job to develop BSPs for children with ADHD. She researches appropriate and successful interventions for students with that diagnosis. 59. In addition to Ms. Wandler’s classroom behavior observations, Ms. Bath prepared a December 2006 addendum to her June 2006 report, and Ms. Weigand prepared an update to her May 2006 assessment. Both conducted classroom observations of Student. Ms. Bath noted in the update of her psychoeducational evaluation that a BSP had been developed to address Student’s failure to begin and complete assignments in the classroom. 60. Overall, during the 2006-2007 school year, Student’s behavior improved, and he was disciplined only eight times that year, as compared to 24 times the previous year. Student had one good friend in the class, and his social behavior was “okay” in the class. However, in May 2007, the Section 504 team met again because Student was having behavior difficulties, such as tripping or poking others. 61. In May 2007, however, after District had conducted extensive observations of Student, prepared a BSP, and invested dozens of hours of Ms. Wandler’s time implementing the BSP, Student’s work completion improved only modestly. Just after Ms. Wandler faded out in late April 2007, Student’s aggressive behaviors toward other children returned. Ms. Wandler testified credibly that Student behaved better when she was in the classroom. He liked the attention he was getting from her. After Ms. Wandler faded out and Student’s aggressive behaviors returned, District had reason to suspect that Student had a disability in the area of social/emotional functioning and behavior. However, District did not have reason to suspect that he may be in need of special education because, as Ms. Bath credibly testified, Student was achieving at or above grade level and earning good grades, he was progressing academically, he was learning, and he was benefiting from his education, despite his problems with behavior. Her opinion was based on her assessment of him, Ms. Weigand’s academic assessment of him, his grades, reports from teachers, and his scores on the STAR. The only indication that Student’s educational performance was suffering is that he would not perform many of his writing tasks in class and his behaviors resulted in him being sent out of the class at times. Ms. Bath testified that Student did not need special education, such as frequent repetition as would be provided in special education, in order to learn. Based on the testing and information provided by teachers, when Student learned something, he retained it. Student’s expert, Dr. Patterson, testified that Student had oppositional traits and wrote in his report that Student had “apparent oppositional defiant disorder.” Dr. Patterson conceded that it is fair to say that Student was learning in the general education environment. In light of all of District’s previous assessments, in January 2005 and in May and June 2006, and because District had no reason to suspect that Student required special education, it was not required to assess Student in the areas of social/emotional functioning and behavior. Did District fail to assess Student in areas of suspected disability, including visual-motor integration, writing, working memory, social/emotional functioning, and behavior, as part of its May/June 2006 assessment? 63. District referred Student for assessment in April 2006. The assessment plan, which was signed by Mother on April 27, 2006, established a plan to assess Student in the areas of health and development; motor/perceptual development; cognitive functioning, academic/preacademic achievement; and personal, social, and emotional development. The assessment plan also provided for a functional behavioral assessment, including observations and report, and classroom observations. 64. District’s May 2006 assessment of Student included a psychoeducational evaluation completed by school psychologist Lisa Bath on May 31, 2006; an occupational therapy assessment completed by District occupational therapist Erin Dolin, an academic assessment completed by District resource specialist Terri Weigand, and a health assessment completed by District school nurse Sue Holmen. 65. Student contends that District failed to assess Student in areas of suspected disability, including including visual-motor integration, writing, working memory, social/emotional functioning, and behavior, as part of this assessment. 66. During the middle of the 2005-2006 school year, Student’s difficulties with work completion worsened. Although Student had completed his work in class in the beginning of the school year, he completed less and less work in class over time. By mid-school year, Student was refusing to do work in class on some days. In April 2006, after Student’s difficulties with work completion escalated, District prepared an assessment plan, which Student’s parents signed on April 27, 2006. District completed its assessment in June 2006. Student contends that Ms. Bath failed to administer psychomotor testing instruments to Student as part of her assessment and, therefore, Student was not assessed in the areas of visual-motor integration. 67. Ms. Bath conducted a psychoeducational evaluation. However, she did not administer testing instruments to assess Student in the area of visual-motor integration because Student had been assessed in that area by several other assessors, and Ms. Bath had reviewed those assessment reports and she reported them in her assessment. For example, Ms. Anderson had administered the Developmental Test of Visual-Motor Integration (VMI) to Student on January 7, 2005. Student scored in the sixth percentile on that test. Dr. Glidden had administered the Beery and the Bender in November 2005, and Student scored in the average range, as discussed above. 68. In addition, District occupational therapist Erin Dolin conducted an occupational therapy assessment of Student on May 9 and June 5, 2006, pursuant to the assessment plan signed by Student’s parents on April 27, 2006. Ms. Dolin’s occupational therapy assessment was comprehensive and included the administration of several instruments to assess Student’s visual-motor integration, including the Test of Visual Motor Skills (TVMS-R), the Print Tool, the Bruininks-Osteretski Test of Motor Proficiency (BOT), and the Sensory Profile.10 In addition, Ms. Dolin’s assessment included a records review, including a review of the January 2005 psychoeducational evaluation by Ms. Anderson, the November 2005 neuropsychological evaluation by Dr. Glidden, and the August 2005 occupational therapy assessment by occupational therapist Dr. Dawn Aholu (privately retained by Student’s parents); an interview with Ms. Bath; an interview with Student’s two second grade teachers, including Ms. Kuipers and Ms. Sutton; an interview with Father; an observation of Student in the classroom; and a clinical observation of mechanical and neuromuscular functions. 69. In conducting her assessment of Student, Ms. Dolin was aware that Dr. Glidden had diagnosed Student with developmental coordination disorder and ADHD. She was aware of Student’s difficulties with writing and completing homework, and his history of behavioral difficulties. She was also aware that Student received a standard score of 79 on the VMI, which was administered by Ms. Anderson as part of District’s January 2005 assessment, and that score indicated that Student’s visual motor and fine motor skills were delayed and could present problems for him with writing. 70. In addition, at the time of her assessment, Ms. Dolin was aware of the findings of Dr. Dawn Aholu, an occupational therapist of three years with Children’s Hospital of Central California, who evaluated Student on August 24, 2005, based on a referral from Student’s physician. Dr. Aholu administered the BOT, the Beery Developmental Test of Visual-Motor Integration (Beery), and the Sensory Profile. In addition, Dr. Aholu conducted a parent interview and clinical observations. Ms. Dolin as aware that on Dr. Aholu’s administration of the BOT, Student performed close to age level. His scores were approximately one year and two months delayed in visual-motor control and upper limb speed and dexterity. On the Beery, Student scored at the six year, 11 month age level. Student’s scores in all areas tested by Dr. Aholu in August 2005 were in the average range. 71. Upon Ms. Dolin’s administration of the TVMS-R, which is a standardized, age-normed test for children that assesses visual-motor integration, Student scored within the average range. On her administration of the BOT, which is an age-normed assessment that measures motor performance in gross motor, fine motor, bilateral and upper limb coordination, memory, orientation, placement, size, sequence, control, and spacing, Student scored in the average range. Ms. Dolin also administered the Print Tool, which is a printing assessment that evaluates a student’s skills in the area of producing capital letters, lower case letters, and numbers. Although this assessment is not standardized and normed, but it is a useful tool for evaluating writing. Student’s overall score on this test was 75 percent accuracy, and the suggested overall score of a child over eight years of age is 95 percent. Student’s score showed some inconsistency in sizing of letters and difficulty in control. Although Student’s score of 75 was low, his score was affected by his motivation to participate in testing. For example, on the first day of assessment, Student wanted his capital letters big, and made them that way. On the second day, his ability level was different, and he did neat and appropriate work on the Print Tool. The letters he wrote were the appropriate size, were refined, and Student had more control. He demonstrated better quality with the attempt on the second day of assessment, and demonstrated the ability to write with the size equivalency of a second to fourth grade student even though he wrote somewhat quickly. Student told Ms. Dolin that he did not like to write. 73. Ms. Dolin was a credible witness who was both knowledgeable and experienced in the field of occupational therapy. She has been an occupational therapist for eight years, and has been employed by District since 2003. She holds a bachelor’s degree in exercise physiology and a master’s degree in occupational therapy. She works on a per diem basis for Valley Children’s Hospital, and also teaches several classes in the physical therapy department at California State University, Fresno, and provides in-service training for teachers in District. She is also employed as an occupational therapist by the Fresno County Office of Education. Her conclusions regarding Student were consistent with those of the other assessors and were credible. 75. District assessed Student in the area of writing in May and June 2006. Student contends that District based its conclusions only on the Woodcock Johnson III Tests of Achievement (WJTA) written language subtests. Dr. Robert Patterson, Student’s expert, who assessed Student on August 24, 2007, testified that the WJTA test is not a “broad field writing sample but is a very limited writing sample and provides only the concept that [Student] is able to write short, brief sentences. . ..” According to Dr. Patterson, “he is unable to write a story. . ..” In addition, Student contended, based on Dr. Patterson’s testimony, that Student could not sustain writing effort, and the WJTA did not assess Student’s ability in this area. Therefore, Student contends, he was not assessed in the area of writing. 76. In the middle of the 2005-2006 school year, Student’s difficulties with work completion and willingness to write began to worsen. Although Student completed his work in class in the beginning of the school year, he completed less and less over time. In the spring of 2006, Student was refusing to do work in class on some days. The assessment plan developed by District in April 2006 proposed to assessment Student in the area of academic functioning, which included writing. 77. Ms. Weigand, who has been a resource specialist for 20 years, conducted an academic assessment on May 16, 2006, as part of District’s assessment of Student. Ms. Weigand holds a bachelor of science in child development, a learning handicapped credential, and a resource specialist credential. She has assessed 200 to 300 students. She has taught and tested many children with ADHD, and is very familiar with the symptoms of that disorder. She administered the WJTA, some subtests of the Brigance Inventory of Basic Skills, and the Sivaroli Reading Inventory, and also conducted a classroom observation of Student and interviewed his teachers. Student received a standard score of 104 on broad written language pursuant to her administration of the WJTA, which is at the beginning third grade level. Student was then in second grade. 78. Ms. Weigand testified credibly that although an assessor is not required to obtain a separate writing sample pursuant to an administration of the WJTA, she wanted to see Student’s writing because she was uncertain as to whether Student was unable to produce written work, or if he was simply choosing not to produce written work. Ms. Weigand attempted to get a writing sample from Student during her assessment of him, but she was unable get him to produce one. She asked Ms. Bath to attempt to obtain one. During Ms. Bath’s assessment of Student, she was able to get Student to produce a writing sample by asking him to write about something he liked, Pokemon, and by offering Student a reward if he wrote three paragraphs. Student independently produced a three-paragraph, nine-sentence writing sample describing his favorite Pokemon character. All nine sentences began with a capital letter and had a period at the end, except for one. Student used proper punctuation and capital letters, the words he wrote were separated, and he wrote on the lines. Student grouped ideas together, stayed on topic, wrote in complete sentences, used words in the correct order, and he placed nouns, verbs, objects and adjectives in correct places. In addition, the writing in the sample was legible. The writing was within the lines and there was good spacing between words. Student correctly spelled the words “because,” “water,” and “type,” which are irregular sight words which are words that cannot be sounded out. Student was able to spell short- and long-vowel words. In addition, Student used a conjunction to connect ideas in the writing sample, which is a skill that teachers begin concentrating on in third and fourth grades. Ms. Weigand and Ms. Kuipers, Student’s second grade teacher, established that the writing sample Student produced was at grade level. Before getting the writing sample, Ms. Bath had concerns about Student’s ability to write, but she had no concerns about his ability to write after he wrote the same because he wrote it without any help. Ms. Weigand testified credibly that Student has the ability to write. 80. Ms. Weigand, Ms. Dolin, and Dr. Aholu all had difficulty getting Student to write. Ms. Dolin and Dr. Aholu each testified credibly that Student wanted to disregard their instructions for completing the testing instruments, and “do it his way.” Consistent with Ms. Weigand’s, Ms. Dolin’s, and Dr. Aholu’s experiences with Student, Mother reported to school nurse Ms. Holmen during her interview on May 25, 2006, that Student did not like to write, that he was refusing to do his work, but that had changed in April 2006, when he switched classrooms, from Ms. Kuipers’ to Ms. Sutton’s class. 81. Student contends, based on Dr. Patterson’s testimony, that Student is unable to write a story and that he cannot sustain writing effort. While Dr. Patterson is qualified to render an opinion regarding assessment in the area of written language,13 cross-examination of Dr. Patterson revealed that he was not aware that District had obtained a writing sample from Student in May 2006, described above in Factual Finding 78, or that this writing sample was part of District’s assessment of Student in the area of writing. In addition, Dr. Patterson had not spoken with any of Student’s teachers, or with anyone who assessed Student previously, and Dr. Patterson had not observed Student in the classroom. Thus, Dr. Patterson had limited information on which to base his conclusions, and, therefore, Student’s contention based on Dr. Patterson’s testimony that District did not assess Student in the area of writing is not persuasive. 82. Based on the foregoing, District assessed Student in the area of writing. 83. District referred Student for assessment in April 2006, and the assessment plan included assessment in the area of cognitive functioning. Student contends that District’s May/June 2006 assessment of Student did not include cognitive testing, which would include the area of working memory. 84. Ms. Bath reported in her psychoeducational report that Student was functioning within the average to high average range of overall cognitive abilities and that he had relative weaknesses in several areas, including working memory, but she did not administer testing instruments to assess Student in that area. Rather, she utilized the cognitive testing completed by Dr. Glidden in November 2005 and the cognitive testing completed by Ms. Anderson in January 2005. Scores obtained by both Ms. Anderson and Dr. Glidden were in the low average range. 85. According to Ms. Bath, it would have been inappropriate to have conducted cognitive testing of Student again in May 2006 because Ms. Anderson administered the WISC-IV to Student in January 2005 and Dr. Glidden administered the WISC-IV in November 2005. Ms. Bath testified credibly that it is generally considered acceptable for a school psychologist, as part of an assessment, to use an evaluation done previously if the evaluation was done within the previous year, and that, typically, psychologists avoid using the same cognitive measure more than once within a year in order to avoid practice effect. The cognitive evaluation completed by Dr. Glidden was completed just six months prior to Ms. Bath’s assessment and showed strengths and weaknesses similar to those identified by Ms. Anderson in her February 2005 report. Although the scores Student achieved in Dr. Glidden’s administration of tests were higher than those he achieved in Ms. Anderson’s administration, perhaps due to the “practice effect,” the patterns of strengths and weaknesses were the same. 87. Based on the foregoing, District assessed Student in the area of working memory. 88. Student contends that when District assessed Student in May and June 2006, Ms. Bath did not interview Mother or Father in completing her psychoeducational assessment. In addition, Student contends that Ms. Bath’s failure to contact Student’s physician or psychologist for information, and her failure to include in her report information about what medication Student was taking to treat his ADHD the effects of that medication, establish that District did not assess Student in the area of social/emotional functioning. 89. Ms. Bath testified credibly that in March 2006, and based on Student’s aggressive behaviors toward other students and his escalating problems with work completion, she had reached the conclusion that Student might qualify for services under the category of emotional disturbance (ED). Based on her experience, Ms. Bath understood and was sensitive to the fact that it was difficult for a parent to hear that his or her child might qualify for special education under the category of ED. Ms. Bath called Mother in March 2006, and had that difficult discussion. Mother testified credibly that she was upset by the conversation and informed Ms. Bath that Student was not emotionally disturbed. 90. The assessment plan prepared for Student in April 2006 included assessment in the area of social/emotional functioning. Although Ms. Bath did not interview Mother or Father in May 2006 prior to completing her assessment, Ms. Bath administered the BASC in May 2006 to assess Student’s social and emotional needs. Student’s two teachers, Mother, and Student all completed BASC rating forms as part of the assessment. Student’s teachers rated him in the at-risk range in several areas, including hyperactivity and attention problems, learning problems, social skills, leadership, functional communication, and study skills. Student’s teachers rated him in the clinically significant15 range in atypicality, withdrawal, and adaptability. According to the BASC rating scales completed by Mother, however, Student was in the average range on overall behaviors that comprise the internalizing and externalizing problems composite, as well as in the average range in overall adaptive behaviors. Student’s parents rated him in the at-risk range only for hyperactivity, attention problems, and activities of daily living. Mother rated Student in the average range with regard to specific behaviors in all other areas. Ms. Bath included Mother’s BASC rating in her report. 91. Although Ms. Bath did not interview Mother or Father after the assessment plan was signed and, therefore, specifically in conjunction with the assessment plan, the evidence establishes that Ms. Bath knew Student very well at the time she conducted her May 2006 assessment. She had been responsible for implementing Student’s Section 504 plan since February 2005. She spoke with his teachers regularly, and was aware of his work completion difficulties and aggressive behaviors toward other students in the classroom. In addition, in the year and a half preceding Ms. Bath’s assessment of Student, Ms. Bath had many conversations with Student’s parents regarding Student. She had participated with Student’s parents in several Section 504 meetings since February 2005. The last Section 504 meetings Ms. Bath participated in with the parents prior to the May 2006 assessment were in February and April 2006. The testimony of Mother, the testimony of Ms. Bath, and the notes from those Section 504 meetings establish that Student’s parents informed Ms. Bath on an ongoing basis regarding Student’s difficulties in the area of social/emotional functioning and regarding the medications Student was prescribed for his ADHD. 92. In addition, Ms. Holmen, the school nurse, interviewed Mother by telephone on May 25, 2006, as part of District’s assessment of Student. Ms. Holmen’s interview with Mother including discussion regarding Student’s social functioning. The report also discussed Ms. Holmen’s physical observations regarding Student and medication taken by Student. The nurse’s report includes a three paragraph summary of her interview with Mother, which indicates that Mother reported that Student “cycles with respect toward others” and “has no trouble challenging authority.” Mother reported that Student had more social interaction this year than in the prior year. Mother believed that Student’s change of classroom and teachers had made a great difference, and that Student was not going to the office as much and was happier at school. Mother stated that Student is very smart with no academic difficulties, does not like to write and struggles with anything to do with writing. She stated that he was refusing to do work, but that had changed, she believed, since he had changed classrooms. 93. It was clear from Mother’s testimony and her statements to Ms. Bath and Ms. Holmen that Mother and Father did not want Student to be determined eligible for special education under the category of ED, and began to report inaccurate information to Ms. Bath. For example, Mother testified credibly that she told Ms. Bath during their March 2006 conversation that Student did not exhibit his behaviors across all environments, and that he was happy at home. However, Mother’s statement to Ms. Bath is inconsistent with her previous reports that Student tantrumed and threw himself on the floor at home, that he had various difficulties dating back to his birth, and Student’s difficulties with homework completion were a continuing “nightmare” for parents. It can be inferred from the evidence that Mother intentionally gave inaccurate information to Ms. Holmen and intentionally gave Student inaccurate ratings on the BASC in order to ensure that Student would not be found eligible under the category of ED. 94. In light of the circumstances, Ms. Bath’s reliance on her previous conversations with Student’s parents, her interview with the school nurse who had interviewed Student’s parents for purposes of the assessment, and her administration of the BASC to Mother, Student, and Student’s teachers, establish that District assessed Student in the area of social/emotional functioning. Ms. Bath’s failure to interview Mother after the assessment plan was signed does not change that fact, and Student offered no evidence that it did. 95. In addition, Student’s records, all of which Ms. Bath had reviewed, including Dr. Glidden’s report, Ms. Holmen’s health assessments, and SST meeting notes, all contain discussion regarding the medication Student was taking for his ADHD. Ms. Bath also interviewed Ms. Holmen regarding Ms. Holmen’s May 25, 2006, interview with Mother. Ms. Bath was aware that Student was prescribed medication for his ADHD, and that these medications may have side effects that affect behavior or functioning. The fact that Ms. Bath did not discuss in her report the side effects of the medication Student was taking and how that medication might affect him academically does not establish that District failed to assess Student in the area of social/emotional functioning. These areas were outside the expertise of school psychologist. 96. While Ms. Bath did not contact Dr. Glidden, she read his report and his recommendations. In addition, over the past year and a half, she had spoken with and participated in Section 504 meetings with Student’s parents and his teachers regarding Student’s social/emotional functioning. She had reviewed all reports relating to Student. The fact that Ms. Bath did not contact Dr. Glidden or any other doctor treating Student does not establish that District failed to assess Student in the area of social/emotional functioning. 97. Based on the foregoing, District assessed Student in the area of social/emotional functioning. 98. Student contends that when District assessed Student in May and June 2006, it did not assess him in the area of behavior. 99. In April 2006, District prepared an assessment plan that included assessment in the area of behavior and also a functional behavioral analysis. Pursuant to that plan, District assessed Student in May 2006. The evidence establishes that District assessed Student in the area of social/emotional functioning, as discussed above in Factual Findings 88 through 97. In addition, as part of her May 2006 assessment, Ms. Bath, who is also a certified behaviorist, conducted a functional behavior analysis of Student. Ms. Bath determined by talking with Student’s teachers that Student’s aggressive behaviors in the classroom, described above, and his problems with work completion were interfering with learning. Student had been in two second grade classes by May 2006. He was in Ms. Kuipers’s class until his Section 504 team determined in April 2006 that he needed a change in classroom placement to break his negative behavior cycle. At the time Ms. Bath commenced her functional behavioral analysis, Student had been in Ms. Sutton’s class for approximately two weeks. After Student moved to Ms. Sutton’s classroom, he no longer exhibited aggressive behaviors in the classroom, but his problem with work completion remained. Therefore, the target behaviors Ms. Bath identified in her functional assessment of behavior problems included Student’s failure to follow whole class directions, failure to follow individual directions, and off-task behavior. 100. Ms. Bath conducted classroom observations of Student in Ms. Sutton’s class, and she observed that Student was off task approximately 25 percent of the time, and that during independent seat work time he was off task approximately 55 percent of the time. While sitting on the floor and listening to a story or in the computer lab, he was off task none of the time. During story time, Student participated in the discussion. Student failed to follow whole class instructions 41 percent of the time and individual directions 42 percent of the time. According to Ms. Bath’s observations, Student was off-task 100 percent of the time when he was supposed to be doing writing tasks in class. Ms. Bath determined that the antecedents to Student’s off-task behaviors included transitions, being asked to stop a preferred activity, being asked to do any kind of writing, and being required to work along with the class under time constraints. If the teacher ignored him, he was more likely to comply. Telling him to comply caused more off-task behavior. Thus, Ms. Bath hypothesized that Student may be trying to avoid doing undesirable tasks, trying avoid being under specific time constraints to produce a product, or trying to continue a preferred activity or refrain from having to make a transition. Student was completing work, but not in class. If the work was something he did not want to do, he would not do it, and he was getting his work done at home. 101. Ms. Bath determined that these behaviors were interfering with the learning process because they disrupted the flow of class instruction, that Student was sometimes removed from class for disciplinary purposes, and that he was losing learning practice when he was not doing his work. 102. Ms. Bath did not always know why Student was not completing his work in class. Student would sometimes say that he did not want to do his work, or that it was “too hard.” Ms. Bath had a concern that Student’s unwillingness to write was “partly” something other than noncompliance, and that is why District initiated an evaluation. During the February 2006 and April 2006 Section 504 team meetings, Ms. Bath hypothesized that Student was not completing work because he did not want to. After evaluating him in June 2006, it was Ms. Bath’s opinion that Student was not completing work because it was something he did not want to do—in any area of academics. His writing sample, described above, showed that he was capable of completing written work, and Ms. Bath also saw some work Student completed in the classroom. 104. Based on the above, District assessed Student in the area of behavior, including aggressive behaviors and failure to complete class work. Did District deny Student a free appropriate public education by failing to find him eligible for special education and related services under the category of specific learning disability (SLD) or other health impairment (OHI) from June 20, 2005 through June 20, 2007? 107. The severe discrepancy method of determining SLD looks at whether a severe discrepancy exists between the child’s intellectual ability and his or her academic achievement. There are three factors to consider in determining whether a child has an SLD under this method: 1) Does a child have a disorder in one of the basic psychological processes, which include attention, visual processing, auditory processing, sensory-motor skills, cognitive abilities including association, conceptualization and expression; 2) Does a severe discrepancy exist (based on either a comparison of standardized tests or on other factors including observations); 3) Can the discrepancy be corrected through other regular or categorical services offered within the regular instructional program. 108. If standardized tests do not reveal a severe discrepancy between intellectual ability and achievement, the IEP team may still find that a severe discrepancy exists as a result of a disorder in a basic psychological process based on: 1) data obtained from standardized assessment instruments; 2) information provided by the parent; 3) information provided by the pupil’s present teacher; 4) evidence of the pupil’s performance in the regular and/or special education classroom obtained from observations, work samples, and group test scores; 5) consideration of the pupil’s age, particularly for young children; and 6) any additional relevant information. 109. If the Student has a disorder in one of the basic psychological processes, has a severe discrepancy between ability and achievement, and the discrepancy cannot be corrected through other regular or categorical services offered within the regular instructional program, a determination must then be made regarding whether, as a result of that SLD, the child needs special education. If the child does not need those services to make progress academically, he or she is not eligible for special education. Does Student Have a Disorder in One of the Basic Psychological Processes? 110. Dr. Patterson testified credibly that Student has a processing disorder in the area of attention. According to Dr. Patterson, Student’s attention waxes and wanes across time, and Student self distracts. Student cannot maintain and sustain attention for a lengthy period of time. Many of Student’s off-task behaviors are due to attention span difficulties and resulting frustration. Dr. Clare testified credibly, and consistently with Dr. Patterson, that Student has attention difficulties and impulsivity that result in deficits in attention. District concedes Student’s diagnosis of ADHD, and did not contend that Student’s attention difficulties were insufficient to constitute a processing disorder. 111. Dr. Patterson also testified that Student has processing speed disorders based his low scores on three subtests of the WJ-III, including rapid picture naming (scored in the first percentile), visual matching (scored in fourth percentile), and decision speed (scored in third percentile). Based on these scores, Dr. Patterson testified that Student has difficulty performing academic tasks because of difficulties with motor speed and accuracy, and that Student shuts down at times when he is not able to perform. Student performs well on a task if it is simple and straightforward, but as tasks require more time and more steps, Student is unable to complete them, he gets frustrated, and he shuts down. As Student gets older, his ability to process is not keeping up with that of his peers. While Student can write, Dr. Patterson concedes, he cannot write consistently over a lengthy period of time. Dr. Patterson testified that while he is able to write, Student “poops out” and stops writing and “implodes” because he does not like to write. He then becomes defiant. As a result, it is difficult for Student to initiate the task of writing, and he tries to avoid writing or tries other strategies to get out of writing. 112. However, Dr. Patterson testified that Student’s processing speed increased when he was on his medication for his ADHD. According to Dr. Patterson’s report, Student showed “a fairly large increase in his work simply due to the medication effect.” According to Dr. Patterson’s report, “there was a significant increase in the actual motor speed on medication, indicating better processing, more attentivity.” Student took his medication, Concerta, immediately before Dr. Patterson administered the WJ-III. Dr. Patterson testified that he administered the WJ-III subtests in the order they are listed in his report, and administered the entire WJ-III within 1.5 hours. Out of the 19 subtests of the WJ-III, the decision speed subtest was administered sixth, the rapid picture naming subtests was administered eighth, visual matching was administered 14th. Dr. Susan Clare testified credibly that it takes an hour for Concerta to be metabolized in the brain so that it can do its work. Dr. Patterson offered no testimony to the contrary. Thus, the evidence shows that Student obtained these low scores on rapid picture naming, visual matching, and probably decision speed before his medication took effect. 113. In addition, District expert Dr. Susan Clare testified credibly that Student received average scores in the area of processing speed based on Ms. Anderson’s and Dr. Glidden’s administration of the WISC-IV, which also tests processing speed. The WISC-IV compartmentalizes processing speed under coding and symbol search. Student received a standard score of 100, which is the 50th percentile, on the WISC-IV in the area of processing speed in February 2005 when assessed by Ms. Anderson, and a standard score of 100, also the 50th percentile, in this area in November 2005 when assessed by Dr. Glidden. Student’s scores were in the average range for processing speed on these two administrations of the WISC-IV. Although it is unusual for a psychologist to administer the WISC-IV within nine months of a previous administration because of the practice effect and the potential of skewing results and increasing error, Dr. Glidden administered that instrument just nine months after Ms. Anderson did. However, the processing speed portion of the test is less subject to increased score as a result of practice effect. Therefore, Dr. Patterson’s testimony regarding Student’s processing speed deficits was not persuasive. 114. Therefore, while the facts do not support a finding that Student has processing speed disorders, the evidence is clear that Student as a processing disorder in attention, which is one of the basic psychological processes for purposes of determining SLD eligibility. Is there a Severe Discrepancy Between Student’s Intellectual Ability and Achievement? 115. A severe discrepancy between intellectual ability and academic achievement may be demonstrated by a comparison of “a systematic assessment of intellectual functioning” and “standardized achievement tests.” A severe discrepancy is greater than 1.5 multiplied by the standard deviation of the computed differences between the two types of tests. Student contends, based on Dr. Patterson’s testimony, that Student has a severe discrepancy between ability and achievement in the area of written expression. 117. As stated in Factual Finding 77, District staff administered the WJTA in May 2006, and Student scored in the average range in broad written language, with a standard score of 104. Compared to Student’s IQ of 101, this did not indicate a severe discrepancy. In addition, Student’s writing sample produced for the May 2006 assessment was on grade level and met ending second grade standards. The incidents reports and letters Student wrote while in the office were on grade level. Student’s second and third grade teachers testified credibly that he could write at grade level. During both school years at issue, Student was performing at grade level in written language. 118. In addition, Dr. Clare has administered the PIAT-R, and is familiar with that test. Dr. Clare testified credibly that Student’s scores on the PIAT-R show that he can learn reading, writing, and arithmetic. While Student’s standard score of 81 in written expression on the PIAT-R indicates that written expression is a relative weakness for Student, his score of 81 is within the average range. Dr. Clare did not see a processing disorder that would account for writing difficulty in Student. Based on her review of Dr. Patterson’s report, it appears to Dr. Clare that Student is capable of performing better in writing. 119. Moreover, Dr. Clare has also administered the WJ-III and the WJTA writing samples and fluency tests. Dr. Clare testified credibly that the WJ-III and the WJTA have excellent reliability in testing written language and in general. These two instruments have comparable measures, and would be expected to yield more accurate results than if the tester administered a Woodcock Johnson test and another measure, such as the PIAT-R.
120. In evaluating the weight of the testimony on both sides, District’s testimony is more persuasive. In addition to the reasons stated above, Dr. Patterson’s testimony is entitled to less weight because Dr. Patterson had not spoken with anyone from District regarding Student. Dr. Patterson conceded that it is best practice to talk with teachers and to observe the student in a classroom setting in conducting an assessment. Dr. Clare testified credibly that in making a determination as to whether a student requires special education, it is important to get information from the student’s teachers regarding the Student’s performance in comparison to the performance of other students, to get portfolio information from the student’s teachers, and to get reports from the teacher regarding the student’s behavior, academics, and social functioning. A classroom observation is required by the state as part of a psychoeducational battery. In Dr. Clare’s 15 years with District, she never conducted a psychoeducational evaluation without interviewing the student’s teacher. Dr. Clare also conducted personal observations as part of her psychoeducational assessments because she wanted to see the student herself, rather than just receive a report regarding the student’s classroom functioning. Likewise, Ms. Bath testified credibly that she never does an assessment without observing the child in his or her educational placement interviewing the student’s teacher in order to assess a student’s performance and how he or she is using the his or her skills. 121. In addition, Dr. Patterson was not aware that District obtained a writing sample from Student in May 2006 as part of its assessment. When shown the writing sample obtained from Student by District, Dr. Patterson testified that it contained “discrete” sentences and multiple errors. However, Student’s second grade teacher, Ms. Kuipers, and Student’s resource specialist, Ms. Weigand, both testified credibly that Student’s writing sample from May 2006 was on grade level and met ending second grade standards. 122. Based on the foregoing, District’s evidence was more persuasive. According to District, Student’s intellectual ability as shown by a full-scale IQ score of 101, and his academic achievement in broad written language as shown by a score of 104 on the WJTA, were both in the average range. Therefore, Student does not exhibit a severe discrepancy between intellectual ability and achievement and, therefore, he is not eligible for special education under the category of SLD. Can the discrepancy be corrected through other regular or categorical services offered within the regular instructional program? 123. Even if Student had a severe discrepancy between ability and achievement, he would be eligible for special education under the category of SLD only if the discrepancy could not be corrected through other regular or categorical services offered within the regular instructional program. 124. Ms. Bath concluded, as a result of her June 2006 assessment of Student, that he was not eligible for special education and related services under the criteria for SLD because he was benefiting from the general education program and making progress without special education services. When Student did work, it was good. In May 2006, Student was earning all A grades and was promoted to the fourth grade at the end of the school year. On the STAR test administered in the spring of 2006, Student, without modifications, scored in the proficient range in English/language arts and in the advanced range in mathematics. In the third grade, Student again earned all A and B grades, except for one C grade. On the spring 2007 administration of the STAR, Student again, without modifications, scored in the proficient range in English/language arts and in the advanced range in math. 125. Student was benefiting from his education and was not eligible for special education, despite his problems completing work. Ms. Bath testified that Student does not need frequent repetition, as would be provided in special education, in order to learn. Based on the testing and information provided by teachers, when Student learns something, he retains it. Student’s expert, Dr. Patterson, conceded that it is fair to say that Student is learning in the general education environment. 126. Based on the foregoing, Student was learning in the general education program and did not require special education. 127. Student also contends that he is eligible for special education under the category of other health impairment (OHI). In order for a student to be eligible for special education under the category of OHI, a student must have “limited alertness, including a heightened alertness to environmental stimuli” that is due to a chronic condition such as attention deficit disorder or ADHD and that adversely affects the student’s educational performance. Even if a chronic condition such as ADHD adversely affects a student’s educational performance, the student must still be found to require special education and related services. Does Student have limited alertness from a chronic condition based on his ADHD? Does Student’s ADHD adversely affect his educational performance? 129. The next issue for purposes of determining OHI eligibility is whether Student’s ADHD adversely affects his educational performance. Dr. Patterson testified credibly that Student’s inability to attend and sustain writing as a result of “waxing and waning of attention” and distractibility and impulsivity is adversely affecting his educational performance. Specifically, Dr. Patterson contends that “the lost time from the classroom because of behaviors linked to this disorder appear to have clearly impacted his educational progress.” Student displays a lot of off-task behaviors, according to Dr. Patterson. Student contends that he is “losing educational benefit daily.” While Student has performed at or above grade level in the classroom and has demonstrated grade level performance on standardized tests of academic achievement, Dr. Patterson’s testimony that Student will eventually fall behind his peers was credible. Student’s educational performance is adversely affected by virtue of the fact that he is not writing in class because he is losing opportunities to practice, and District experts testified credibly that practice is necessary for improvement. Does Student require special education that cannot be provided with modification of the regular school program? 130. Even if a child has an SLD or OHI that adversely affects the child’s educational performance, in order to be eligible for special education either under the category of OHI or SLD, the child must require special education and related services that cannot be provided with modification of the regular school program. 131. Dr. Patterson testified that Student needs to be in a restrictive setting for at least part of the day in a resource program, or he needs to be in a special day class. According to Dr. Patterson, Student works better when he as the opportunity to make choices, and in a mainstream class it is difficulty to set up pa program with choices. In addition, Student responds better to a structured environment, and it would be easier for him to work with fewer other students in the classroom. Also, it would be easier to deal with Student’s refusal to work in a small group. Dr. Patterson explained that Student has oppositional components to his behavior and many characteristics of oppositional defiant disorder, which is often comorbid with ADHD. According to Dr. Patterson, one cannot win in attempting to work with a child with oppositional defiant disorder. District attempted “more simplistic” behavior techniques and, while Dr. Patterson gave District credit for trying, it was his opinion that some of the techniques used by District actually empowered Student, and the techniques stopped working after a time. These recommendations are based on Dr. Patterson’s record review and testing of Student for one day. However, Dr. Patterson is not a behaviorist, and he did not see Student in the classroom or talk to his teachers. 132. District’s expert, Dr. Susan Clare testified more credibly with regard to whether Student qualified for special education. Dr. Clare holds a doctorate in educational psychology and a Master of Science degree in speech pathology and audiology. Dr. Clare had a decades-long career in public schools as a resource teacher, special day class teacher, and a school psychologist. Since her retirement from her position with District, she has been consulting for school districts and families and, among other things, performing psychoeducational and behavioral assessments. Over the course of her career, she has performed hundreds of initial assessments for eligibility and reevaluations. She is qualified to administer, and has administered, virtually all testing instruments used by school psychologists. She has worked with students from all categories of eligibility for special education, except for students with visual impairment. She has analyzed eligibility issues based on ADHD, SLD, ED, autism, and OHI. In addition, she is a board certified behavior analyst, and she participates in developing behavior plans for students. Dr. Clare is also an adjunct faculty member for California State University, Fresno, and teaches advanced applied behavior analysis. Dr. Clare has practiced in other states, including Utah and Washington, and is a licensed prescribing psychologist in one of those other states. Dr. Clare has 33 years of experience in the educational field. 133. Dr. Clare is very familiar with the eligibility criteria under SLD and OHI. Regardless of whether a student has a disorder of a basic psychological process and a severe discrepancy between ability and achievement for purposes of SLD eligibility, and regardless of whether the student has a health impairment for purposes of OHI, the student does not qualify for special education unless he or she is not making educational progress in the general education program. 134. Dr. Clare has not met Student. However, she reviewed Dr. Patterson’s report, and she has administered every testing instrument that Dr. Patterson administered to Student, except for the DTLA test of motor speed and precision. According to Dr. Clare, Dr. Patterson reported a full-scale IQ in Student of 101, with a range of 95 to 106, meaning Student’s full-scale IQ scores falls somewhere within this range. This places Student within the range of average cognitive ability. According to Dr. Patterson’s administration of the WISC-IV as described in his report, Student has average or above average scores in all areas of cognitive ability, except for decision speed, rapid picture naming, and visual matching, which are all cognitive fluency measures related to with processing speed.19 Based on all of Student’s scores, Ms. Clare testified credibly that Student learns well if allowed to use all of his cognition, but does not do as well if he is limited to visual information. However, as discussed above, Dr. Patterson administered the WJ-III before Student’s medication took effect, and Student’s scores in the area of processing speed based on Ms. Anderson’s and Dr. Glidden’s administration of the WISC-IV were much higher, which indicates that the scores Dr. Patterson obtained were incorrect. 135. In Dr. Clare’s opinion, which was credible, Student did not require special education and related services that could not be provided with modification of the regular program. It did not concern Dr. Clare that Student’s verbal skills were higher than his writing skills because learning to write follows a developmental sequence and a child can talk freely before the child can write freely, and the ability to speak is at a higher language level than the ability to write in second and third grades. Dr. Clare is of the opinion that Student needs practice in order to increase his writing skills. 136. Factual Findings 130 through 135 demonstrate that even assuming Student has an SLD or OHI, he does not require special education and related services. As determined above in Factual Finding 61, Ms. Bath established that Student was progressing academically and benefiting from his education. District established that Student had the ability to complete his work, and District provided accommodations through Student’s 504 plan to reduce the amount of work. The essence of District staff members’ credible recommendations was that Student requires the type of modifications, i.e., additional time, organizational support, work load modifications and time management support that could be provided through modification of the general education curriculum. 137. Ms. Bath proposed a positive behavior plan in her June 2006 assessment of Student. The 504 team agreed that the behaviors occurred when Student was pressed to do his work or a nonpreferred task in class or when he believed he was not capable of doing the work well. Yet, some of the things Student refused to do were within his ability level. The team agreed that Student’s behaviors occurred and he refused to do work because, by doing these things, he gained attention and was able to avoid work or tasks that he perceived as nonpreferred. It appeared, according to Ms. Bath, that he was avoiding work and did not want to do it. Student had shown on other occasions that he was capable of doing the work he was being asked to do. 138. Ms. Wandler established that Student could access the curriculum in the general education classroom. Ms. Wandler testified testified credibly that the BSP resulted in Student’s use of alternative behaviors, and that demonstrated the effectiveness of the BSP and that it worked. The BSP was an accommodation that the general education staff could implement in the general education program. A district’s child find obligation toward a specific student is triggered when there is reason to suspect a disability and that special education services may be needed to address that disability. (Dep’t of Educ. v. Cari Rae S. (D. Hawaii 2001) 158 F.Supp.2d 1190, 1194.) Neither the statutes nor the regulations establish a deadline by which time children who are suspected of having a qualifying disability must be identified and evaluated. Issue 1: Did District have a child find obligation to assess Student in areas of suspected disability, including visual-motor integration, writing, working memory, social/emotional functioning, and behavior, from June 20, 2005 through June 20, 2007? 9. Based on the above Legal Conclusions and Factual Findings 13 through 17, District had previously assessed Student in this area in January 2005. From February 2005 onward, District had been providing services to Student through a Section 504 plan. Although Student was progressing academically throughout the 2005-2006 school year, his work completion problems escalated in the middle of the 2005-2006 school year. District convened a Section 504 team meeting, which was held on February 28, 2006. In March 2006, after that Section 504 meeting, Ms. Bath contacted Student’s mother regarding Ms. Bath’s suspicion that Student would qualify under the category of ED. District produced an assessment plan for parents to sign in April 2006. Parents signed that assessment plan, and the assessment conducted in May and June 2006. Thus, District referred Student for assessment in the area of visual-motor integration in the 2005-2006 school year within a reasonable time after it suspected that Student may have had a disability and may have needed special education and related services. 10. Based on the above Legal Conclusions and Factual Findings 18 and 19, District had previously assessed Student in this area in January 2005. From February 2005 through the day of hearing, District was providing services in this area to Student through a Section 504 plan. Although Student was progressing academically throughout the 2005-2006 school year, his work completion problems escalated in the middle of the 2005-2006 school year. District convened a Section 504 team meeting on February 28, 2006, contacted Student’s mother in March 2006 regarding its suspicion that Student would qualify under the category of ED, and produced an assessment plan for parents to sign in April 2006. Parents signed that assessment plan in April 2006, and District conducted its assessment of Student in the area of writing in May and June 2006. Thus, District referred Student for assessment in the area of writing in the 2005-2006 school year within a reasonable time after it suspected Student may have had a disability and may have needed special education and related services. 11. Based on the above Legal Conclusions and Factual Findings 20 through 22, District had no reason to suspect a disability in the area of working memory in the 2005-2006 school year, or that Student may have needed special education and related services for such a disability. However, District referred Student for assessment in the area of cognitive functioning in April 2006, which was within a reasonable time after District suspected Student may have had a disability in other areas, as discussed above. 12. Based on the above Legal Conclusions and Factual Findings 23 through 27, District had previously assessed Student in these areas in January 2005. From February 2005 onward, District was providing services to Student in these areas through a Section 504 plan. Although Student was progressing academically throughout the 2005-2006 school year, his work completion problems escalated and he began exhibiting aggressive behaviors toward other students in the middle of the 2005-2006 school year. District convened a Section 504 team meeting, held on February 28, 2006, to discuss these issues. Ms. Bath contacted Student’s mother in March 2006 regarding its suspicion that Student would be eligible for special education under the category of ED, and produced an assessment plan for parents to sign in April 2006. Student’s parents signed that plan in April 2006, and District assessed Student in these areas in May and June 2006. Based on the foregoing, District referred Student for assessment in the areas of social/emotional functioning and behavior during the 2005-2006 school year within a reasonable time after it suspected Student may have had a disability and may have needed special education and related services. 13. Based on the above Legal Conclusions and Factual Findings 34 through 41, District had no reason to suspect, during the 2006-2007 school year, that Student had a disability in the area of visual-motor integration and needed special education and related services in that area. Student had been assessed in that area in May and June 2006, and his IEP team determined in June 2006 that he was not eligible for special education and related services. The assessment plan of October 2006, which was signed by parents, did not propose assessment in this area. Student was being provided services through his Section 504 plan and was progressing academically. Based on the foregoing, District had no obligation to assess Student in the area of visual-motor integration during the 2006-2007 school year. 14. Based on the above Legal Conclusions and Factual Findings 42 through 45, District had no reason to suspect, during the 2006-2007 school year, that Student had a disability in the area of writing and needed special education and related services in that area. Student had been assessed in that area in May 2006, and his IEP team determined in June 2006 that he was not eligible for special education and related services. Although Student was not producing a lot of written work in the fall of 2006, he was performing well academically. The assessment plan of October 2006, which was signed by parents, did not propose assessment in this area—it proposed an “update” of Ms. Weigand’s May 2006 assessment “as needed.” Ms. Weigand updated her previous assessment by conducting classroom observation and talking with Student’s teacher. She administered no further testing. In January 2007, Student’s aggressive behaviors returned, and his work completion problems escalated. From February through April 2006, District provided Student with extensive services by Ms. Kathy Wandler through his Section 504 plan in order to increase his writing productivity, and the plan was working and Student was progressing academically. Student’s writing was on grade level. Based on the foregoing, District had no obligation to assess Student in the area of writing during the 2006-2007 school year. 15. Based on the above Legal Conclusions and Factual Findings 46 through 49, District had no reason to suspect a disability in the area of working memory in the 2006-2007 school year or that Student may have needed special education and related services for such a disability. District assessed Student in the area of working memory in May 2006, as discussed above, and his IEP team determined in June 2006 that he was not eligible for special education and related services. There was no reason to suspect a disability in that area during the 2006-2007 school year. 16. Based on the above Legal Conclusions and Factual Findings 50 through 61, until May 2007, District had no reason to suspect, during the 2006-2007 school year, that Student had a disability in the area of social/emotional functioning and behavior, and needed special education and related services in those areas. Student had been assessed in those areas in May 2006, and his IEP team determined in June 2006 that he was not eligible for special education and related services. Student did not exhibit aggressive behaviors in the beginning of the 2006-2007 school year. The assessment plan of October 2006, which was signed by parents, did not propose assessment in this area. However, the assessment plan did propose observation by behaviorist Kathy Wandler. Ms. Wandler conducted extensive observations and developed a BSP prior to the December 6, 2006, IEP team meeting. In addition, Ms. Bath updated her May 2006 assessment in December 2006 after conducting an observation of Student in the classroom and talking with his teacher. In January 2007, however, Student’s behaviors returned. In February 2007, Student’s parents consented to the implementation of the BSP. Student was provided extensive services by Ms. Kathy Wandler through his Section 504 plan, and Ms. Wandler spent many hours over several months training Student’s teacher, in order to increase Student’s writing productivity and reduce his inappropriate behaviors. Ms. Wandler’s BSP was working in increasing writing productivity and reducing inappropriate behaviors. However, after Ms. Wandler faded out in late April 2007, Student’s behaviors returned, and he began tripping and hitting other students and behaving aggressively and inappropriately. Therefore, in May 2007, District had a reason to suspect that Student had a disability in the area of social/emotional functioning and behavior. 17. However, District did not have reason to suspect that Student may have been in need of special education at that time because, as Ms. Bath credibly testified, Student was achieving at or above grade level and earning good grades, was progressing academically, was learning, and was benefiting from his education, despite his behavior problems. Ms. Bath’s opinion was based on her assessment of Student, Ms. Weigand’s academic assessment of him, his grades, reports from teachers, and his scores on the STAR. The only indication that Student’s educational performance is suffering was that he would not perform many of his writing tasks in class and his aggressive behaviors and problems with work completion resulted in him being sent out of the class at times. Ms. Bath testified credibly that Student did not need special education services, such as frequent repetition, in order to learn. Based on the testing and information provided by teachers, when Student learned something, he retained it. Student’s expert, Dr. Patterson, conceded that it is fair to say that Student was learning in the general education environment. Consistent with testimony of Student’s teachers and people who assessed him that Student “wanted to do things his way” and would refuse to work at times, Dr. Patterson testified credibly that Student had traits of oppositionality, and Dr. Patterson’s report stated that Student had “apparent oppositional defiant disorder.” In light of this, and in light of all of District’s previous assessments, District had no reason to suspect that Student required special education, and it was not required to assess Student in the areas of social/emotional functioning and behavior during the 2006-2007 school year. Issue 2: Did District fail to assess Student in areas of suspected disability, including visual-motor integration, writing, working memory, social/emotional functioning, and behavior, as part of its May/June 2006 assessment? 18. Based on the above Legal Conclusions and Factual Findings 66 through 74, District assessed Student in the area of visual-motor integration in May 2006. District had previously assessed Student in this area in January 2005. District occupational therapist Erin Dolin assessed Student in the area of visual-motor integration in May and June 2006. In addition, Ms. Bath reported the scores obtained by Student on the instruments administered by Ms. Anderson and Dr. Glidden to assess Student in the area of visual-motor integration. Thus, District assessed Student in the area of visual-motor integration as part of its May and June 2006 assessment. 19. Based on the above Legal Conclusions and Factual Findings 75 through 82, District assessed Student in the area of writing in May and June 2006. District had previously assessed Student in this area in January 2005. District resource specialist Terri Weigand conducted an assessment of Student in the area of writing in May 2006. In addition, Ms. Dolin’s occupational therapy assessment included assessment in the area of writing. Thus, District assessed Student in the area of writing as part of its May and June 2006 assessment. 20. Based on the above Legal Conclusions and Factual Findings 83 through 87, although District had no reason to suspect a disability in the area of working memory in the 2005-2006 school year or that Student may have needed special education and related services for such a disability, District assessed Student in the area of working memory in May 2006 because Ms. Bath reported in her psychoeducational evaluation the scores obtained by Dr. Howard Glidden in November 2005 and by Ann Anderson in January 2005. These scores were consistent, and Dr. Glidden’s was current. Thus, District assessed Student in the area of working memory during the 2005-2006 school year. 21. Based on the above Legal Conclusions and Factual Findings 88 through 104, District assessed Student in the areas of social/emotional functioning and behavior in May and June 2006. District had previously assessed Student in these areas in January 2005. District again assess Student in these areas in May and June 2006. That assessment included the administration of the BASC by Ms. Bath to Student, Mother, and Student’s two second grade teachers. Ms. Bath had many meetings and conversations with Mother and Father from February 2005 through April 2006, and they informed her on an ongoing basis of Student’s difficulties in the area of social/emotional functioning and behavior. School nurse Sue Holmen interviewed Mother regarding Student’s social/emotional functioning and behavior in May 2006, and reported her results, which Ms. Bath considered. Ms. Bath interviewed Student’s two second grade teachers regarding these areas, and she knew Student well. Ms. Bath’s assessment of Student included a functional behavioral analysis. Based on the foregoing, District assessed Student in the area of social/emotional functioning and behavior as part of its May and June 2006 assessment. Issue 3: Did District deny Student a free appropriate public education by failing to find him eligible for special education and related services under the category of specific learning disability (SLD) or other health impairment from June 20, 2005, through June 20, 2007? 32. Based on the above Legal Conclusions, and on Factual Findings 106 through 126 and 130 through 138, District did not violate its child find obligation by failing to find Student eligible for special education and relates services under the category of SLD from June 20, 2005, through June 20, 2007. Dr. Patterson’s testimony that Student also had processing speed disorders was not ultimately persuasive, and not consistent with other testing of Student in the area of processing speed. However, the evidence established that Student has a disorder in one of the basic psychological processes—attention. Student does not, however, have a severe discrepancy between ability and achievement. Student’s overall IQ is 101, which is in the average range. His achievement in the area of written expression is also in the average range, and at grade level, pursuant to credible testimony by District employees. Dr. Patterson’s testimony that Student’s score of 81 on the PIAT-R establishes a severe discrepancy between ability and achievement is not credible. Dr. Patterson had not spoken with any of Student’s teachers, and had not observed him in the classroom, and Student’s score on the PIAT-R was much lower than the writing achievement he showed at school. Dr. Patterson was not aware that District had obtained a writing sample from Student in May 2006, and that the sample was at grade level. District expert Susan Clare’s testimony that Student did not have a severe discrepancy between ability and achievement was credible. 33. Moreover, even if Student had a severe discrepancy between ability and achievement, he would be eligible for special education only if the discrepancy could not be corrected through other regular or categorical services offered within the regular classroom and if he required special education. InHood,supra, the Ninth Circuit held the student to be ineligible for special education and related services under the category of SLD because she was performing at grade level or higher, and her discrepancy could be corrected through regular or categorical services offered within the regular instructional program. 34. Similar to the student in theHood case, Student does not need special education and related services, as he is able to progress in the general education environment with reasonable accommodations and the BSP provided through his Section 504 plan. Student is performing at or above grade level in all areas. He consistently maintains grades in the A and B range, with his lowest grade being one C. He scored in the proficient range on the STAR test in English/language arts, and in the advanced range in mathematics. Therefore, Student is ineligible for special education under the category of SLD. 35. Based on the above Legal Conclusions, and on Factual Findings 127 through 138, District did not violate its child find obligation by failing to find Student eligible for special education and relates services under the category of OHI from June 20, 2005, through June 20, 2007. Dr. Patterson testified credibly that Student has ADHD, and that Student’s ADHD adversely affects his educational performance because Student is losing some educational benefit when he is off task or spending time in the office as a result of his behaviors. However, as discussed in Factual Findings 33 and 34, Student is not eligible for special education and related services under the category of OHI because he can access his education through regular or categorical services offered within the regular instructional program. While the student had areas of relative weakness, he was achieving and receiving educational benefit in the regular education classroom. From June 2005 through June 2007, Student never received a grade of less than a C on a report card, and received mostly A and B grades. He was performing at or above grade level in the areas of mathematics, reading, and writing according to District assessment results, which were credible. His STAR test results were consistent, with Student performing at the proficient range in English/language arts and at the advanced range in mathematics. Therefore, Student is ineligible for special education under the category of OHI.